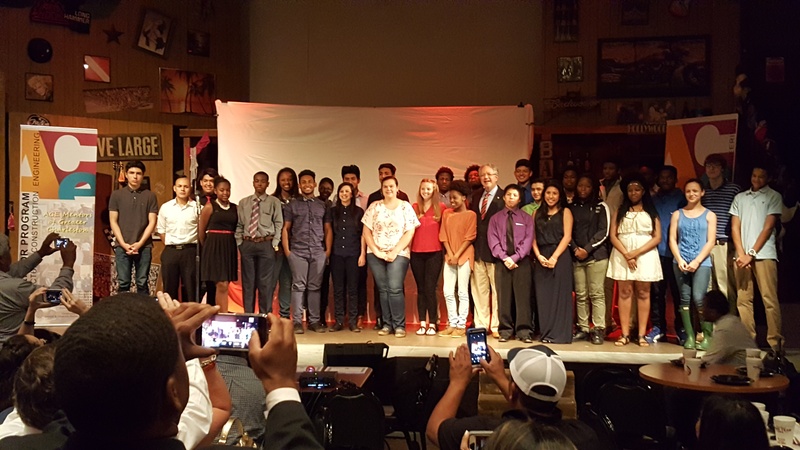 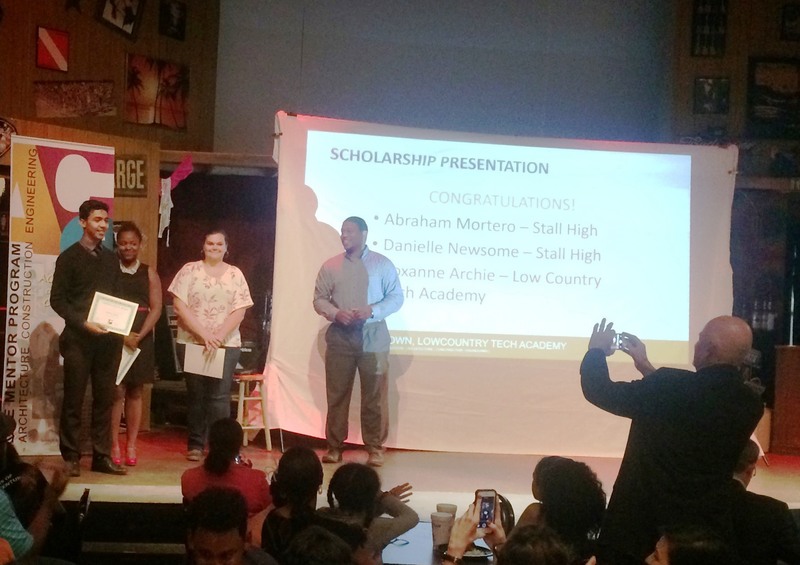 Students, parents, educators, and professionals from throughout the community gathered downtown at the Woolfe Street Playhouse to celebrate another successful year of ACE Mentors impact in CCSD classrooms. 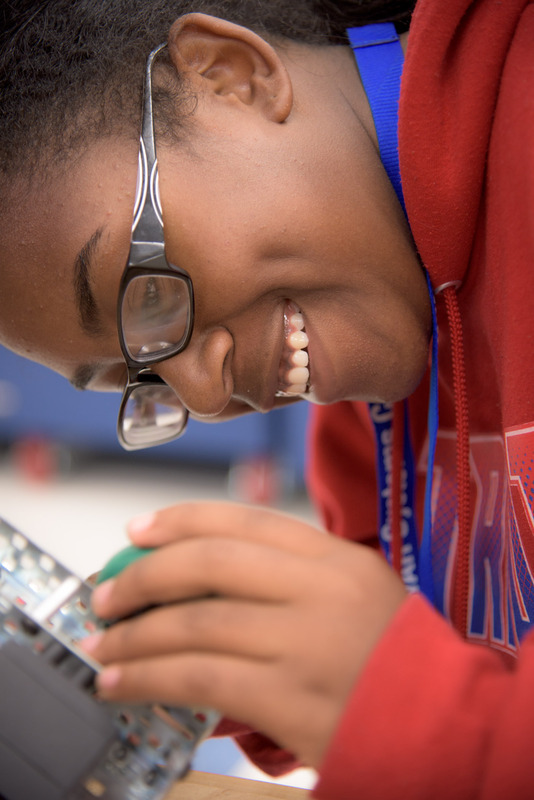 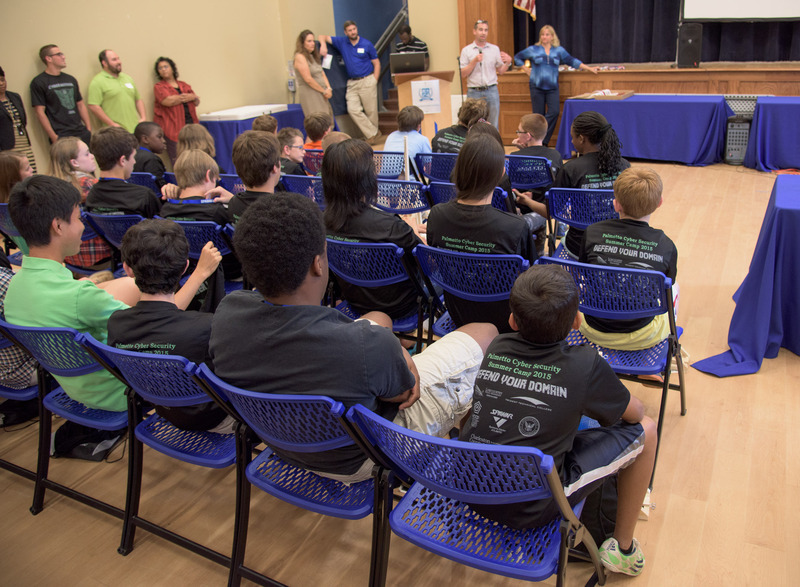 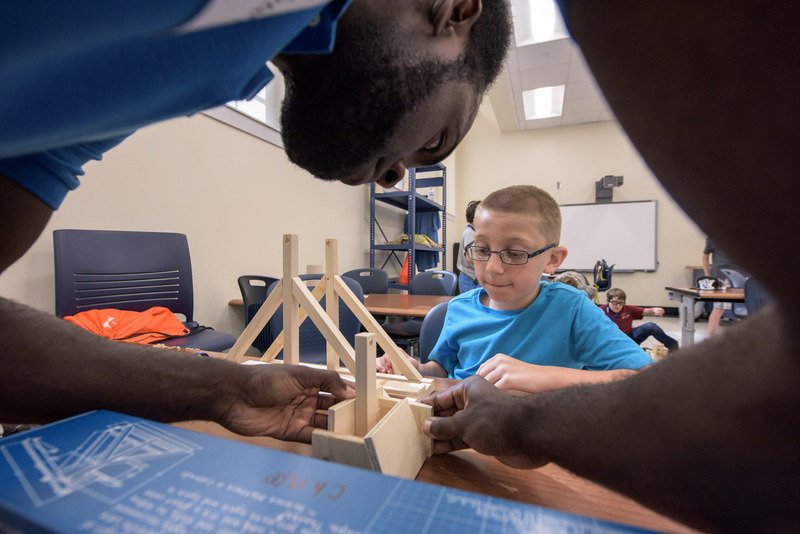 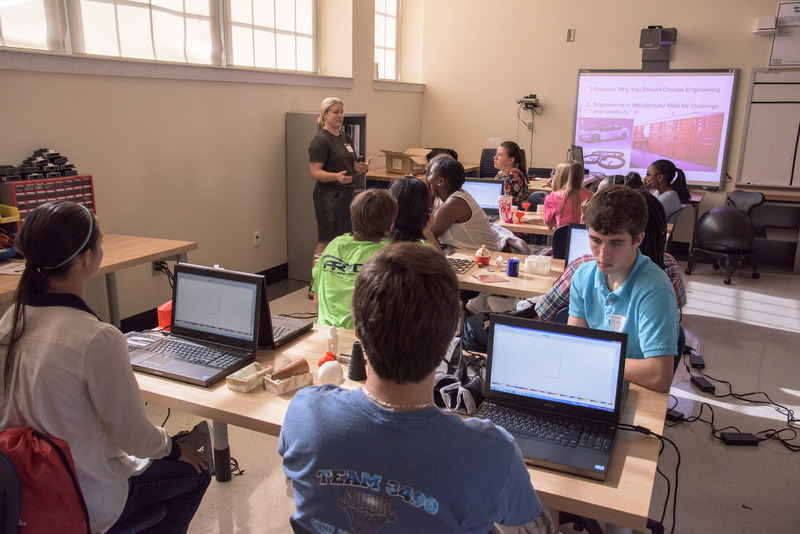 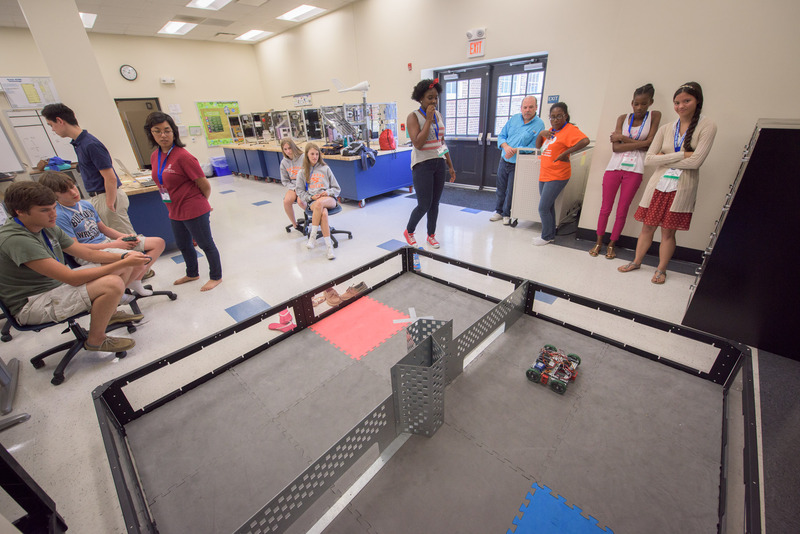 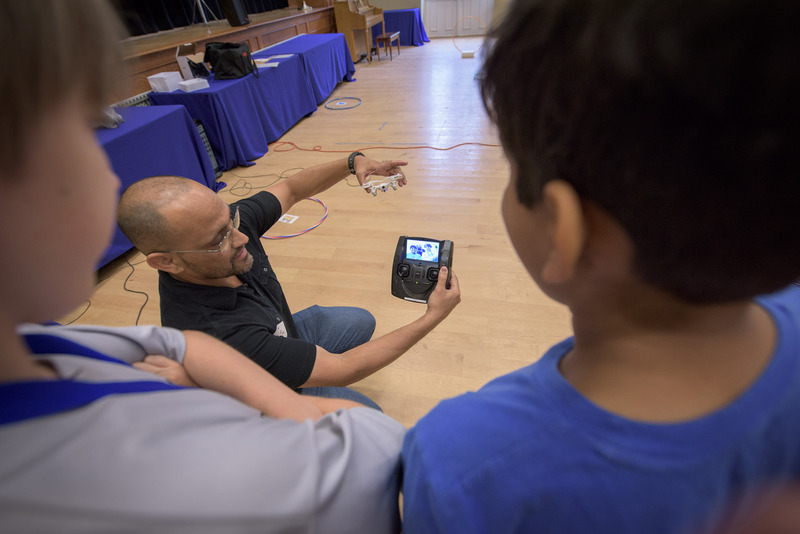 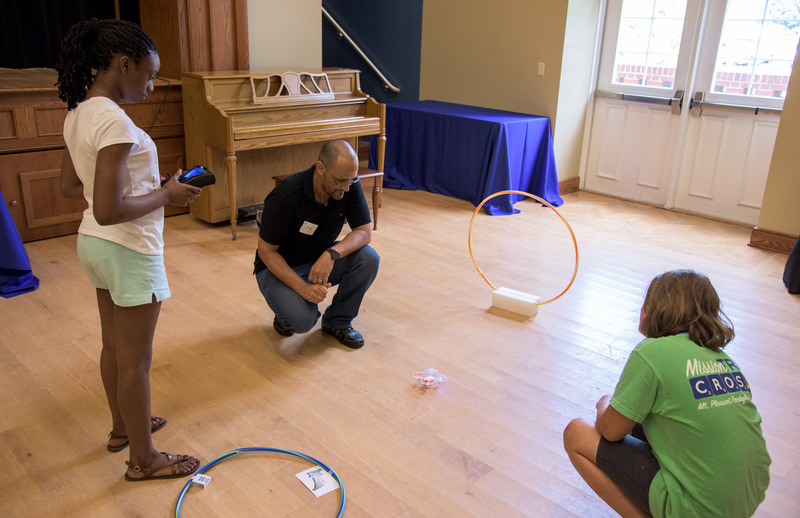 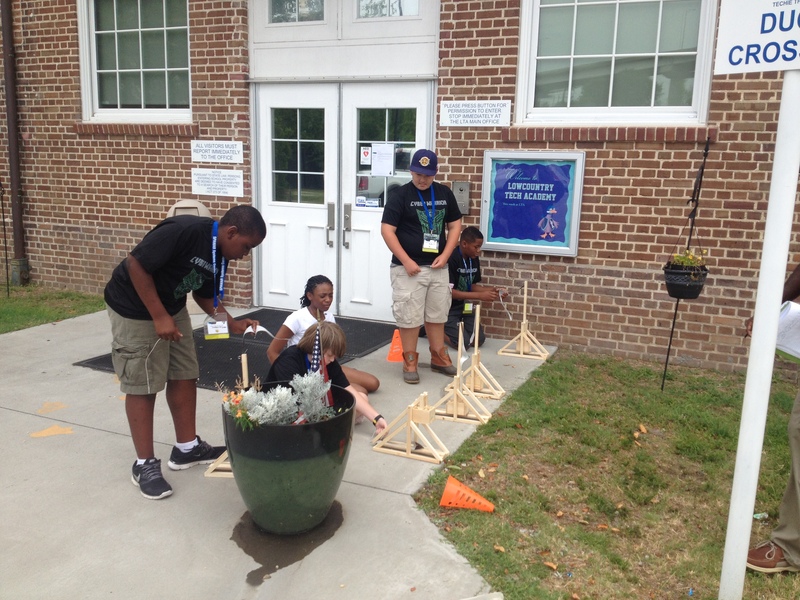 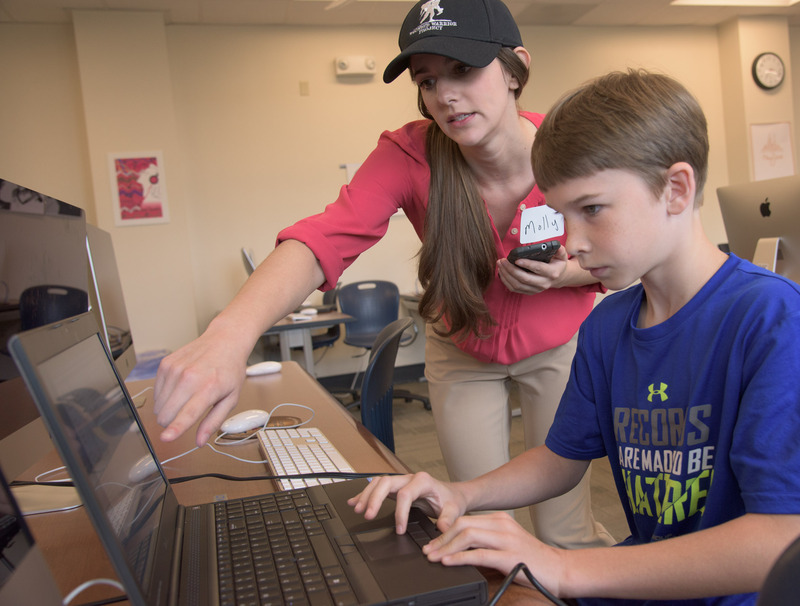 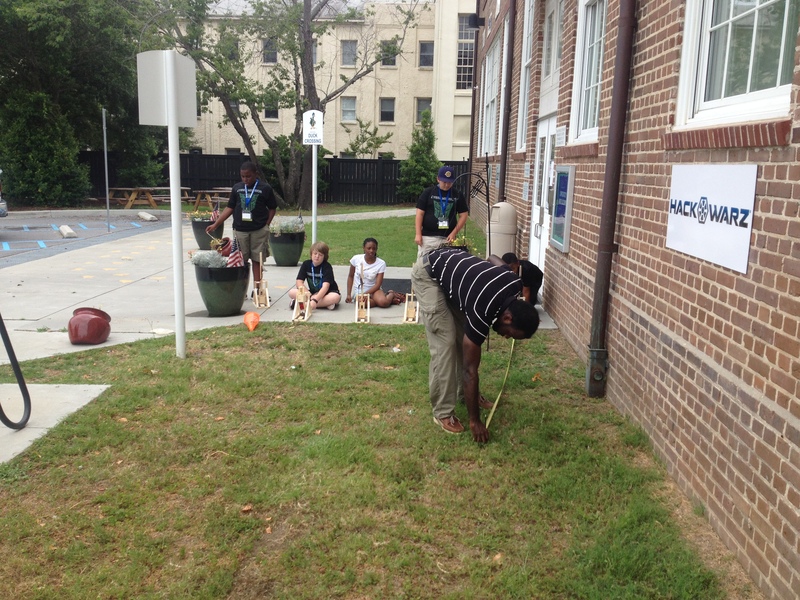 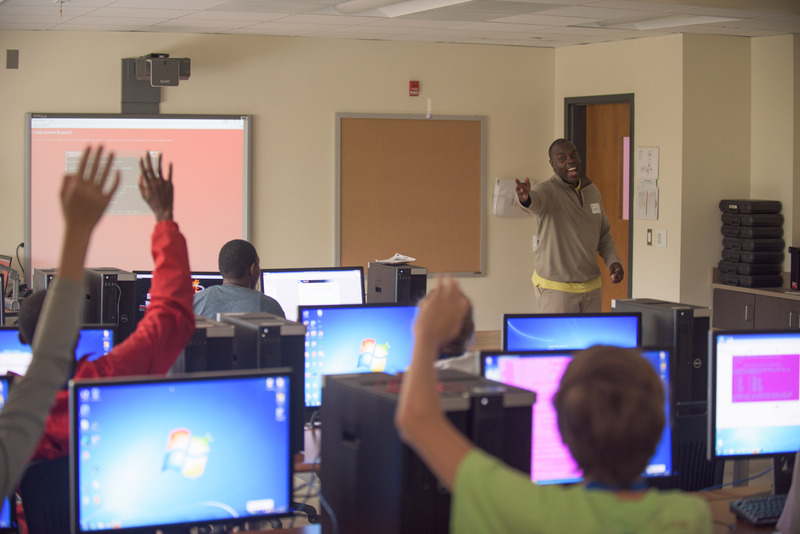 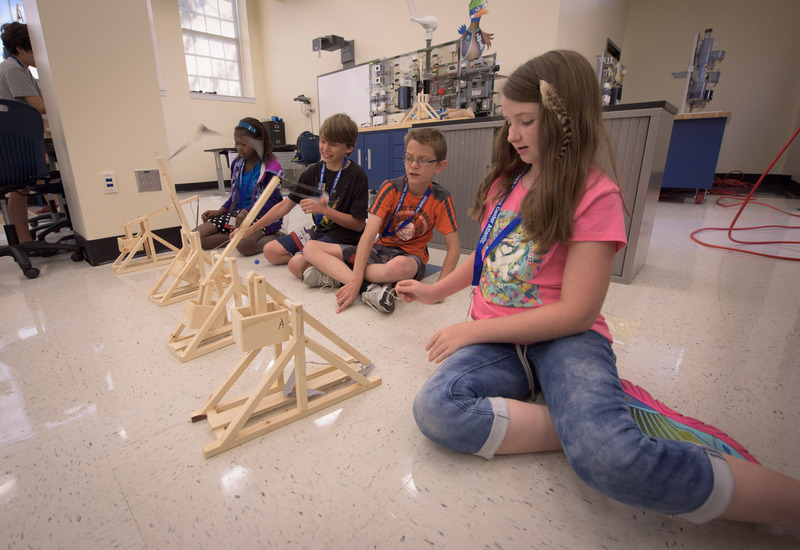 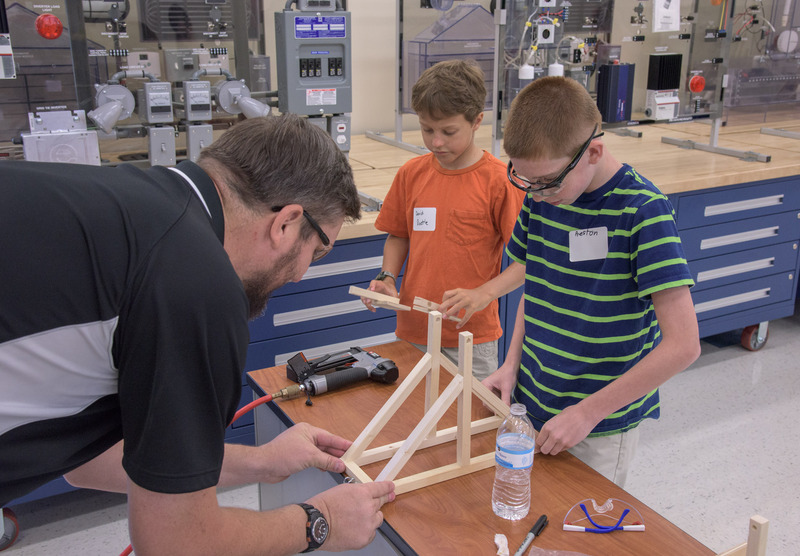 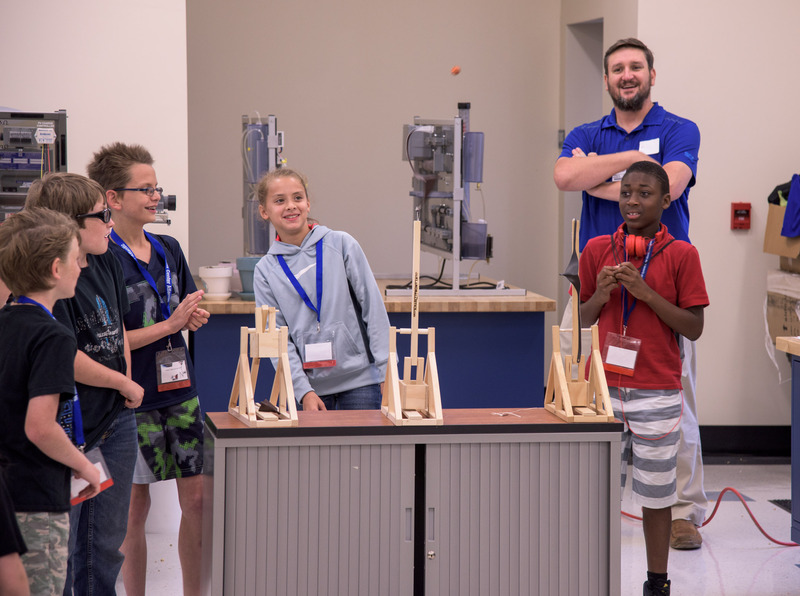 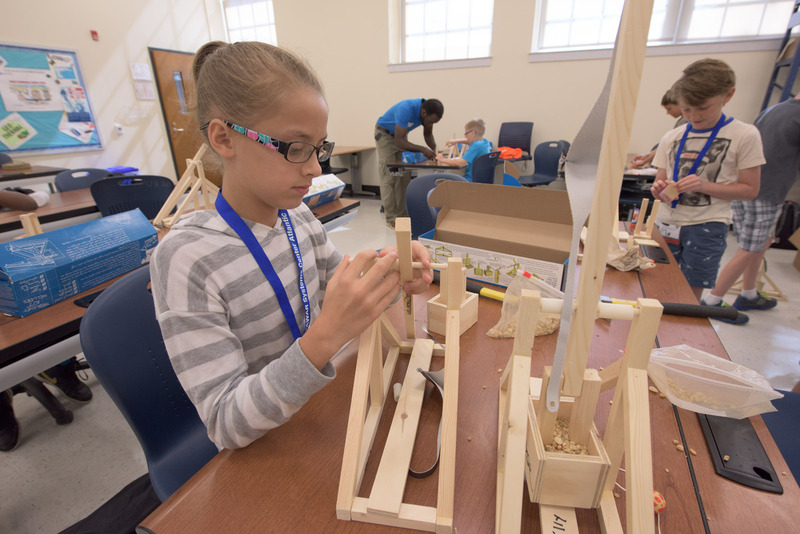 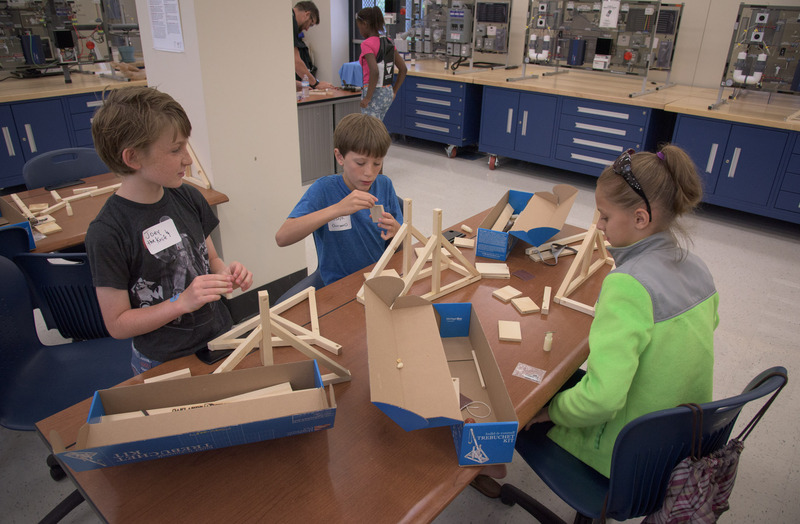 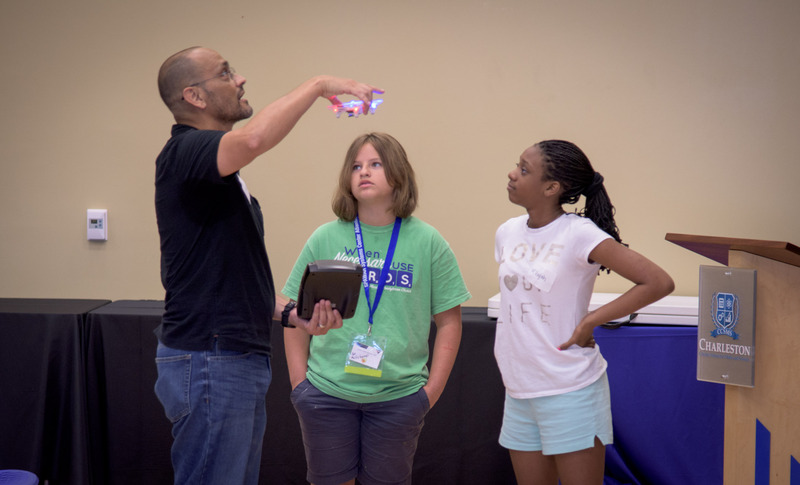 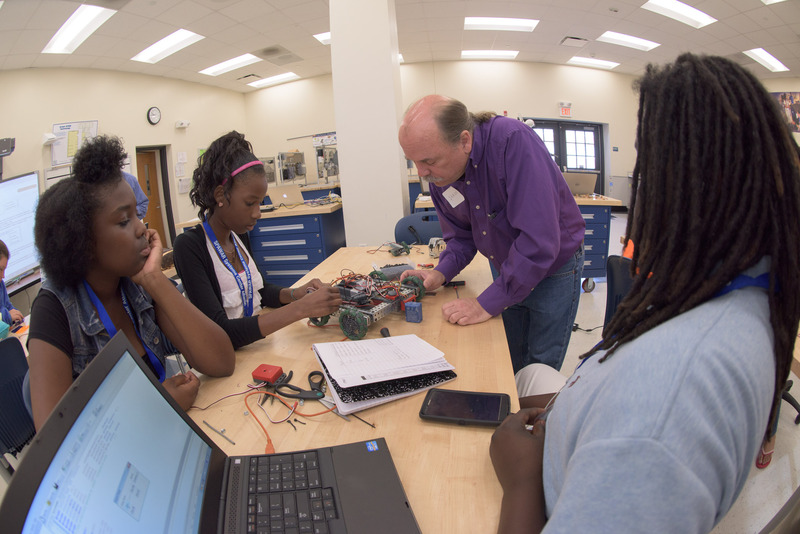 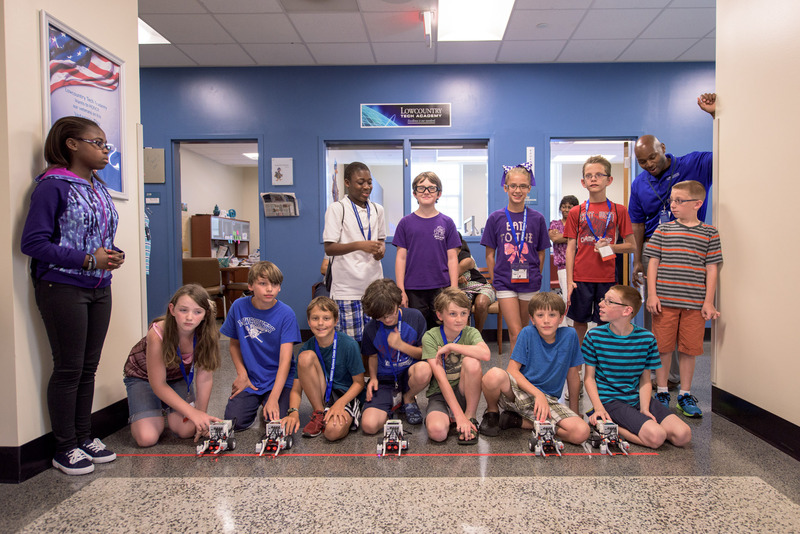 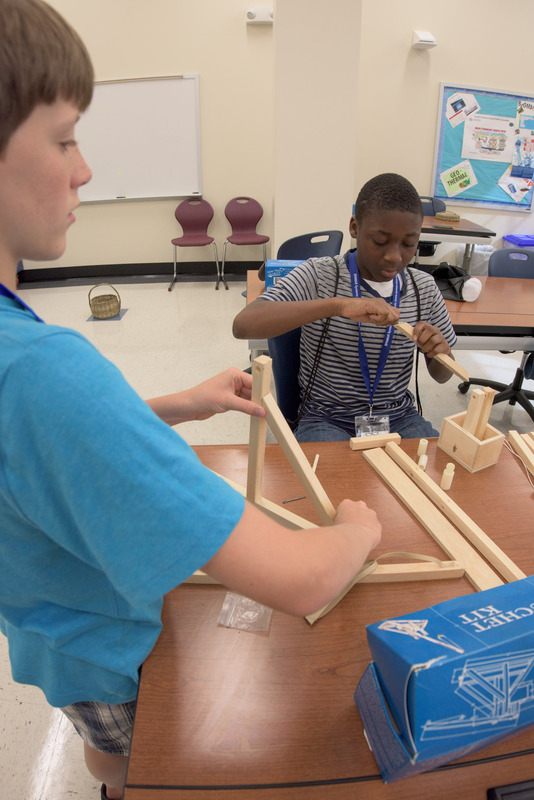 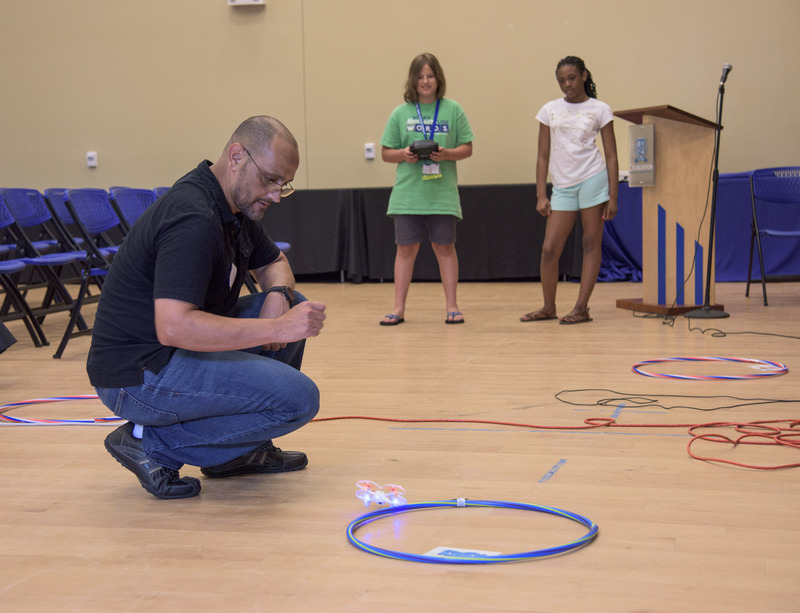 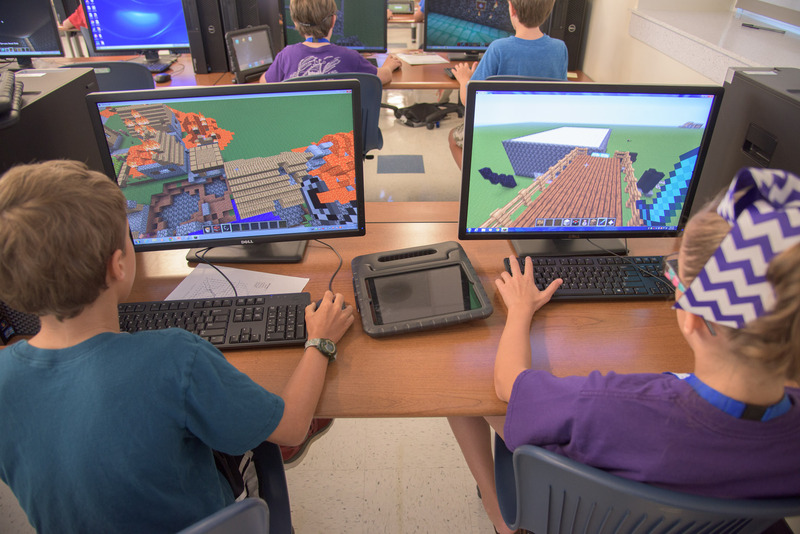 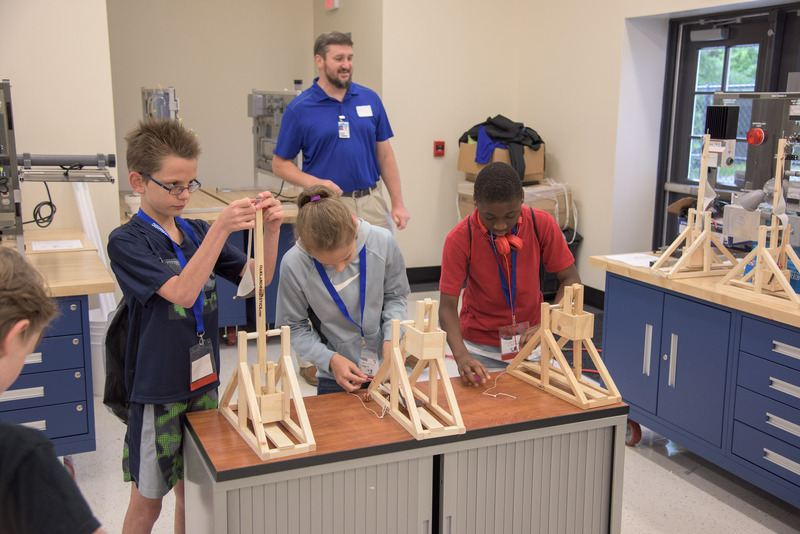 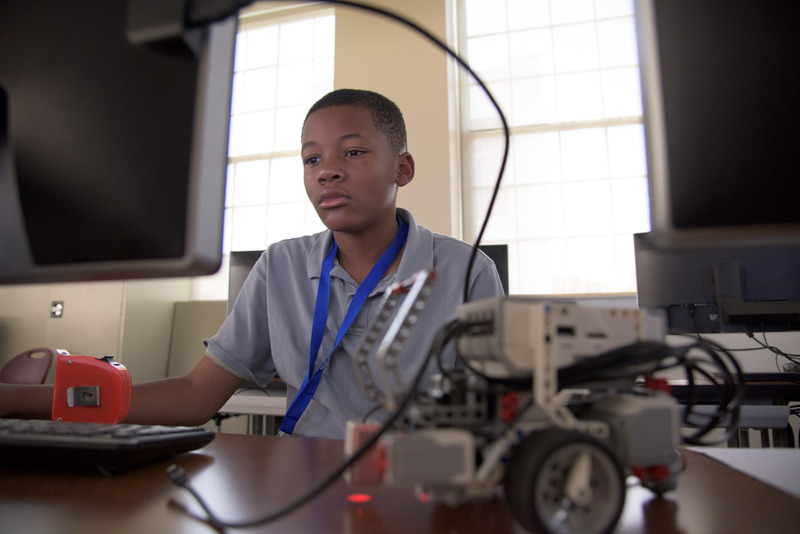 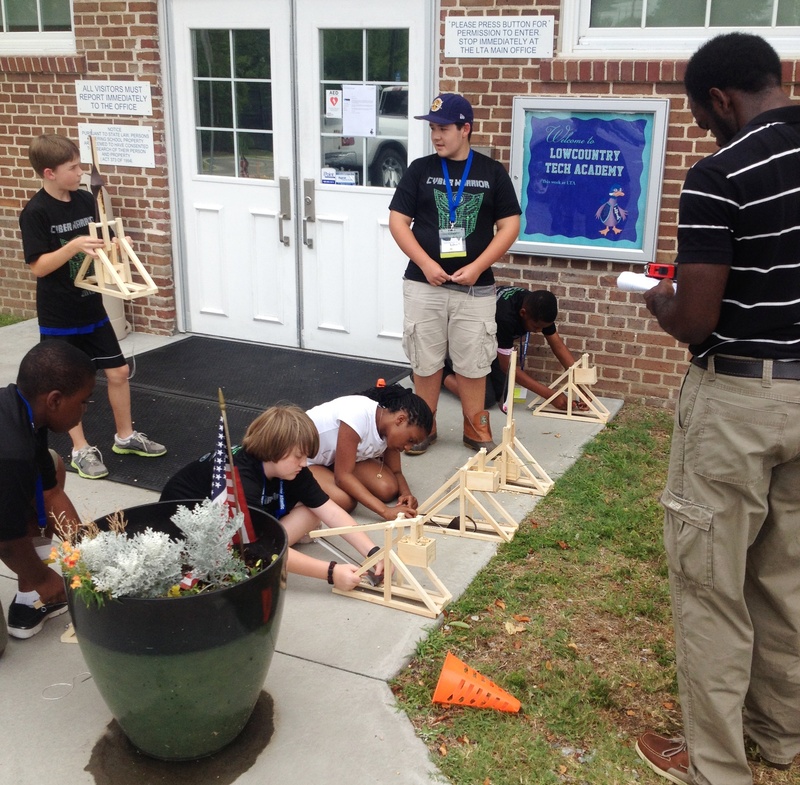 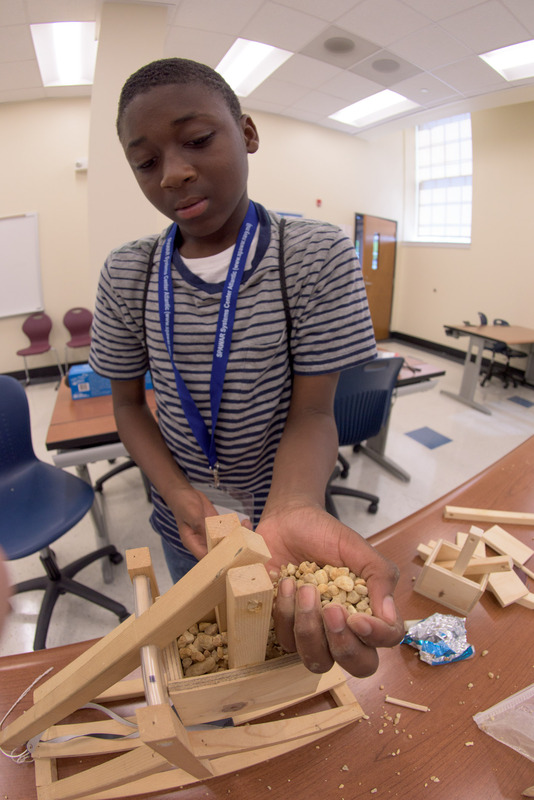 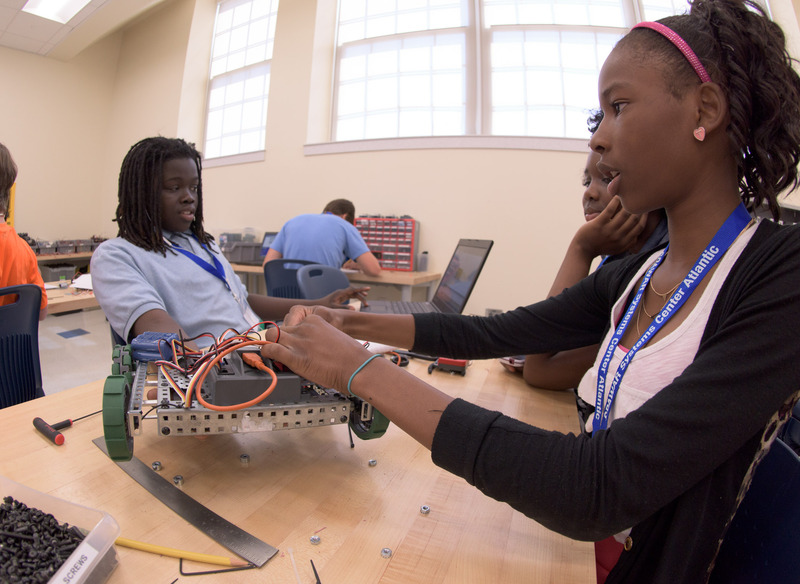 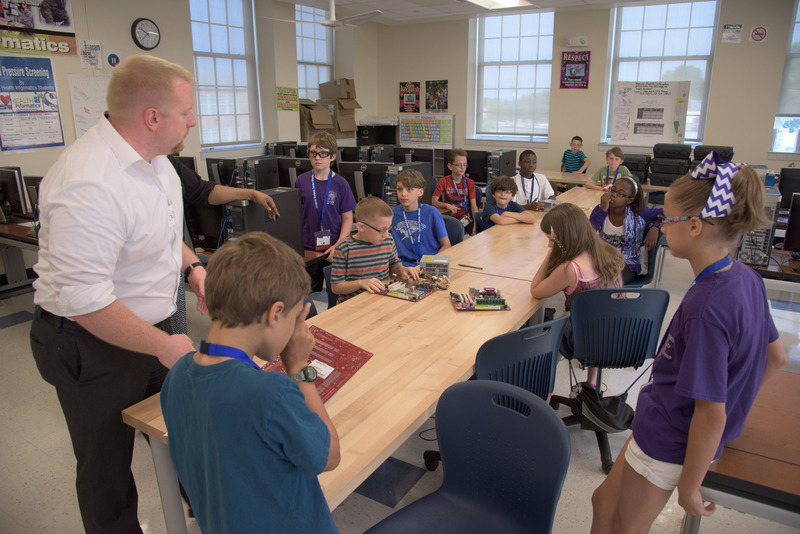 The ACE Mentor Program connects Charleston area architects, contractors, and engineers with local schools for special project-based learning opportunities and field trips. 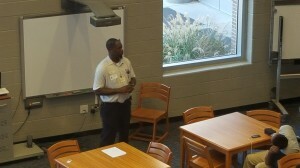 Three teachers welcomed ACE Mentors into their CCSD classrooms this year: Kim Pickett from R. B. 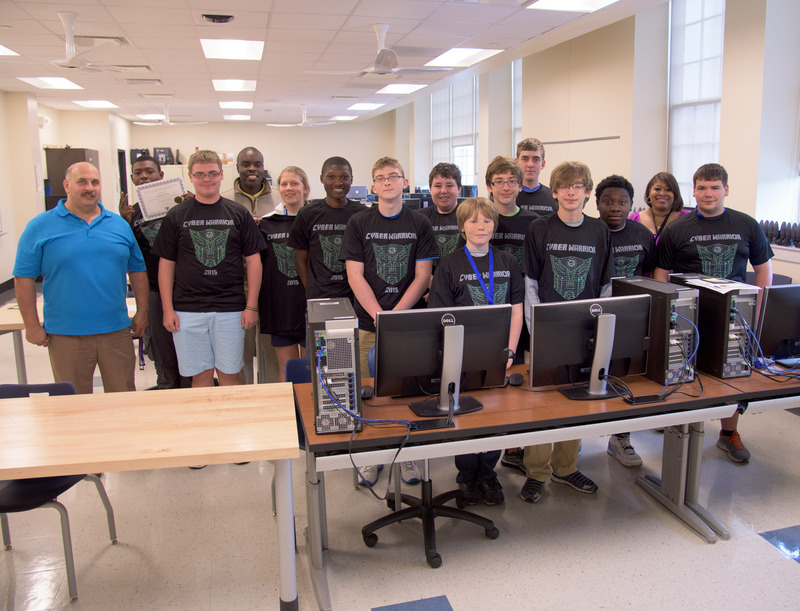 Stall HS, Darwin Shorters from St. Johns HS, Michael Crosby from Lowcountry Tech Academy. 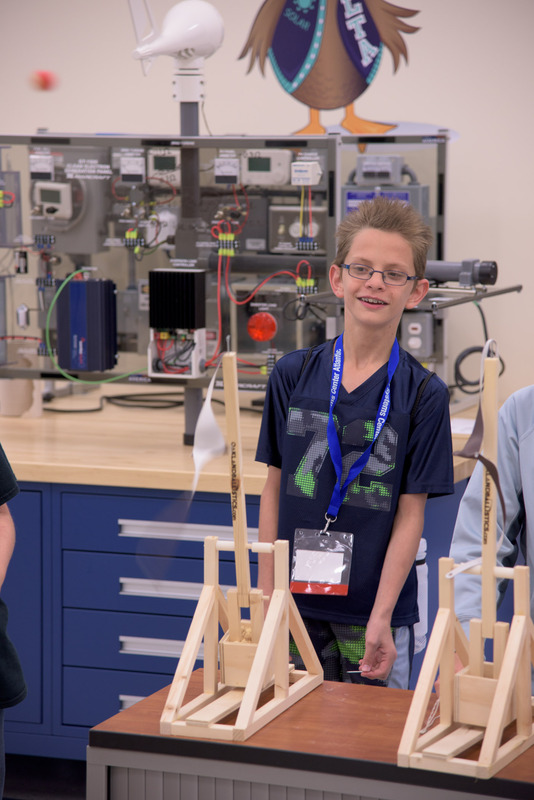 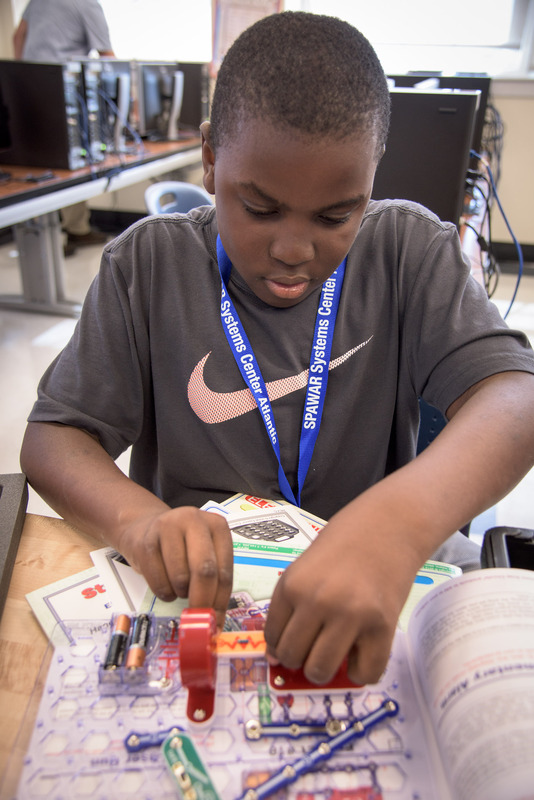 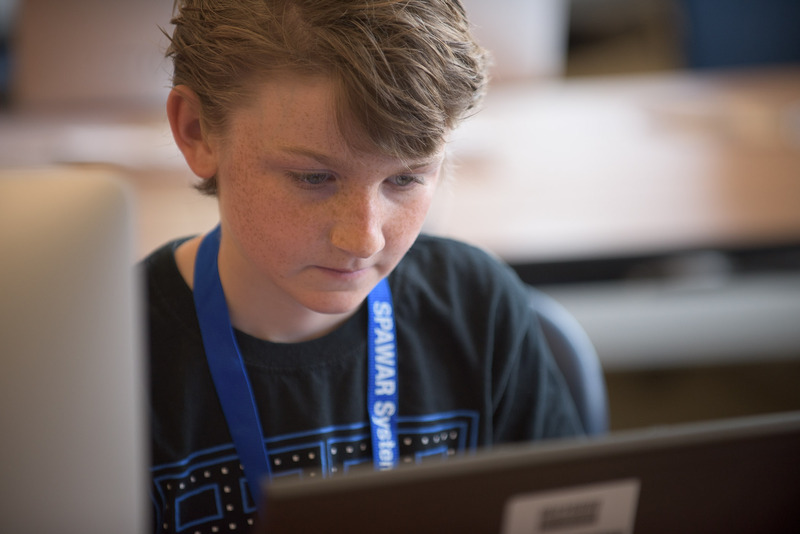 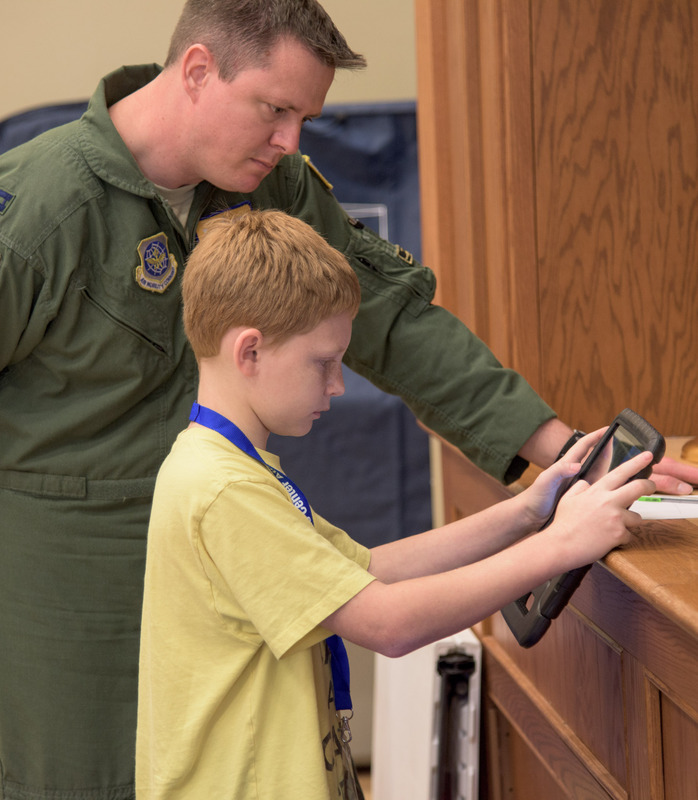 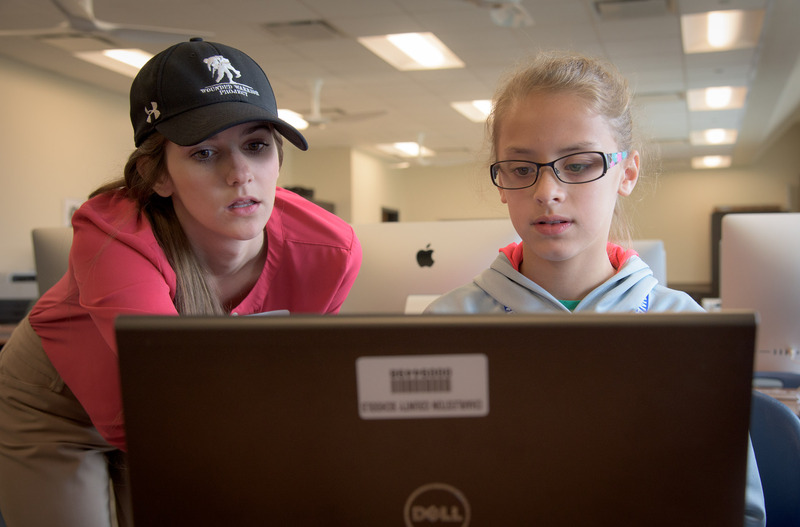 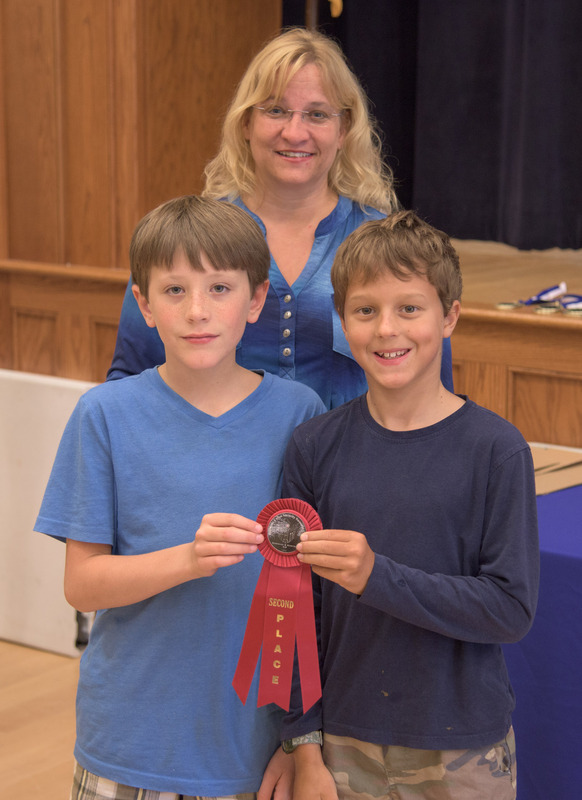 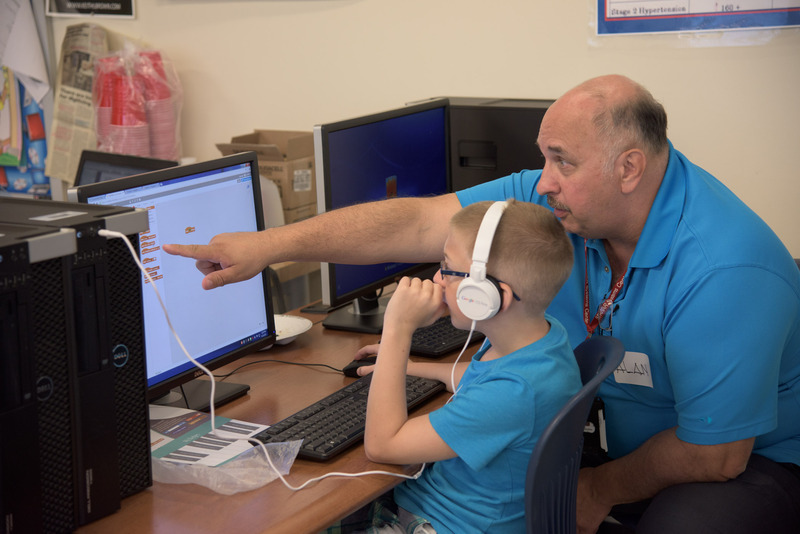 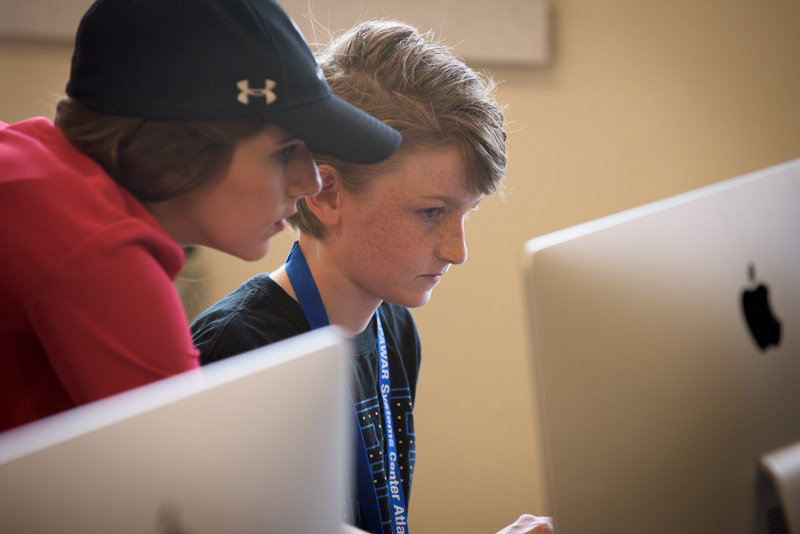 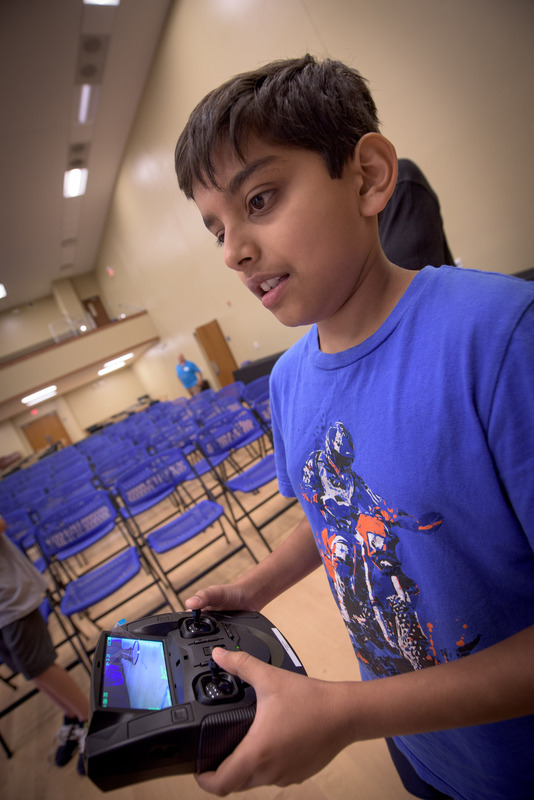 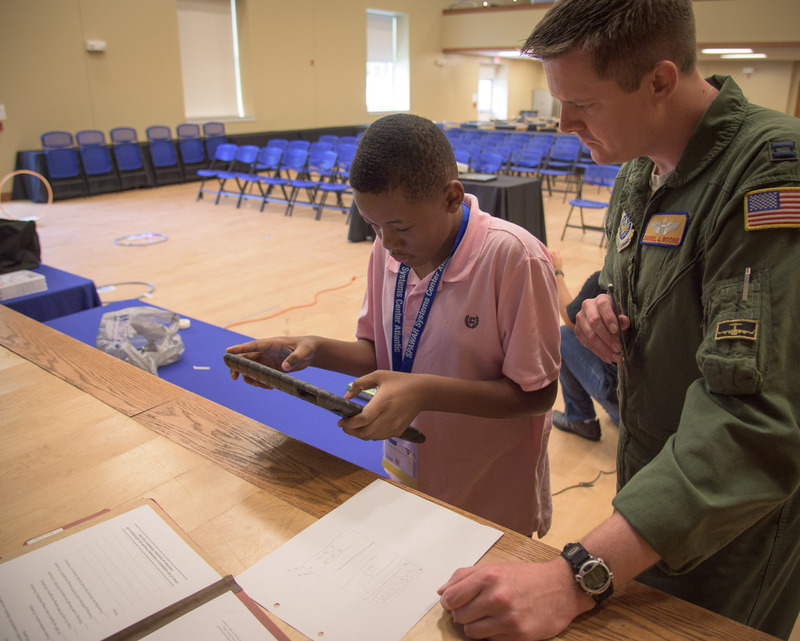 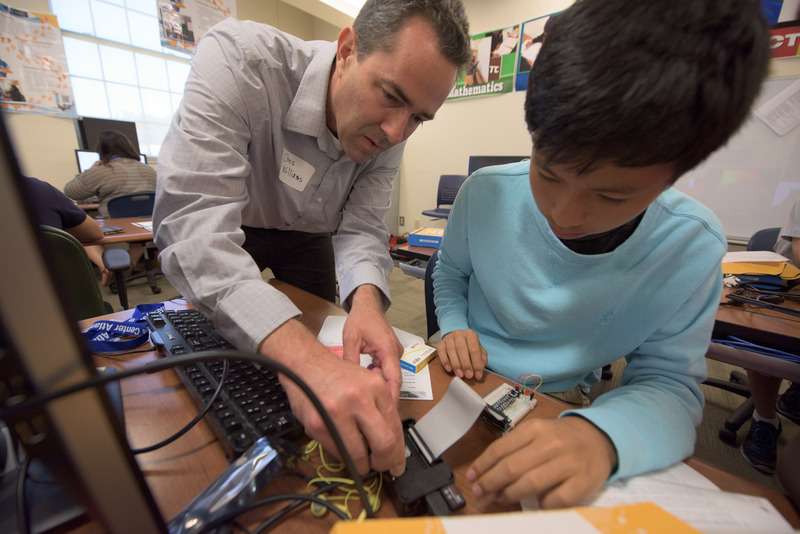 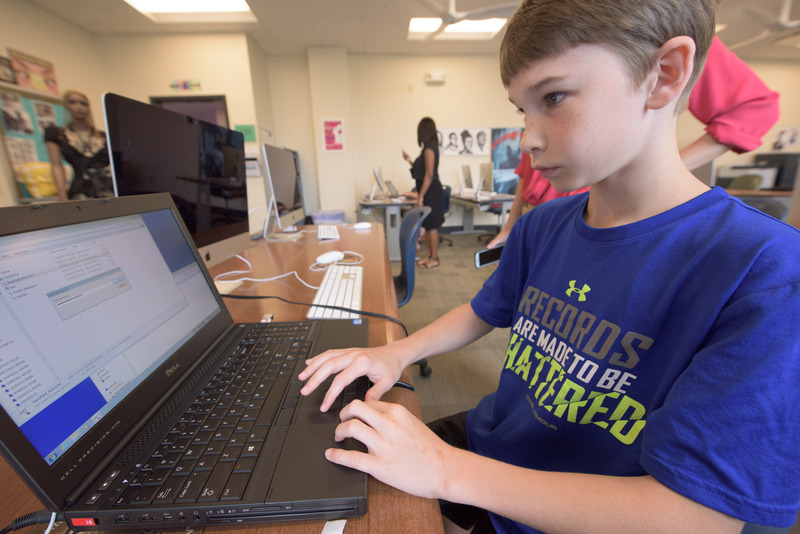 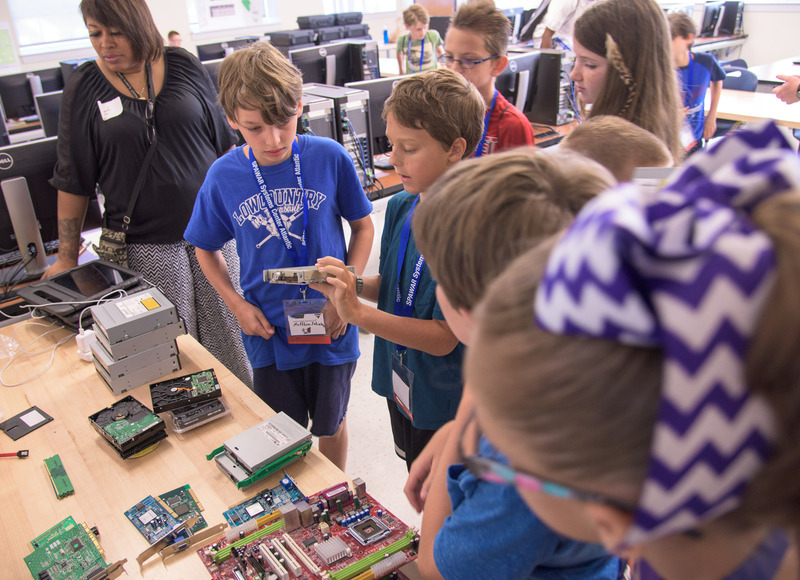 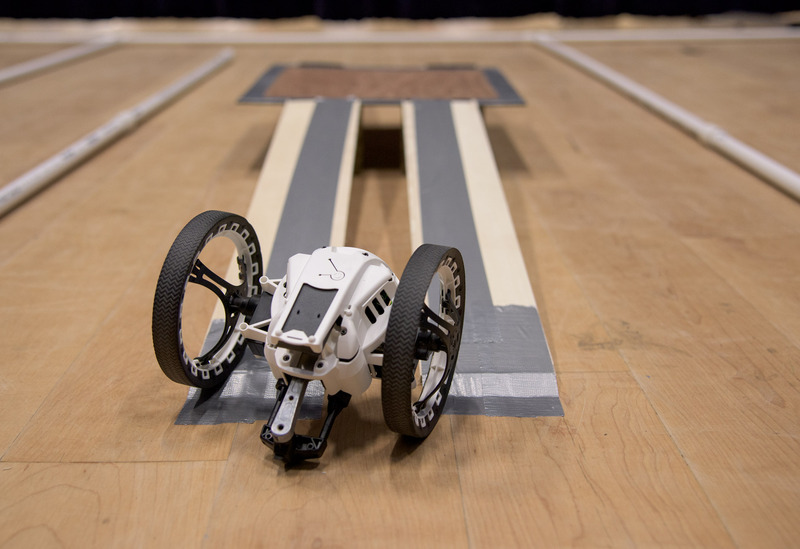 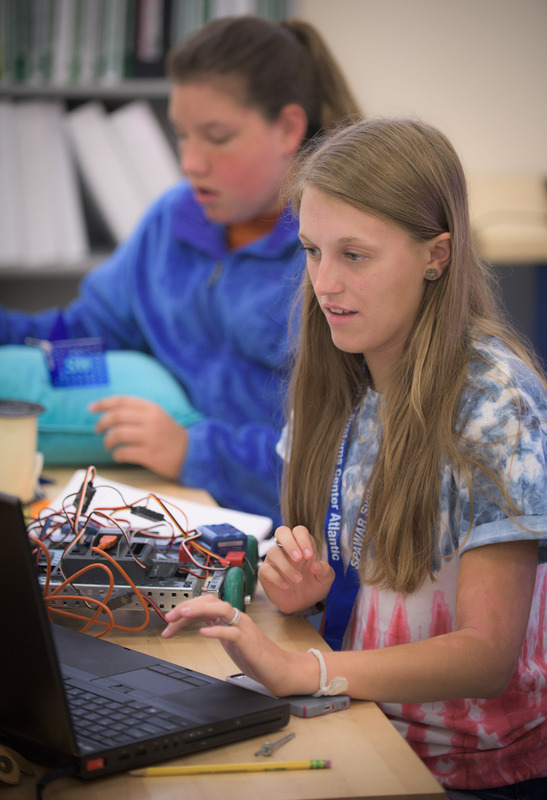 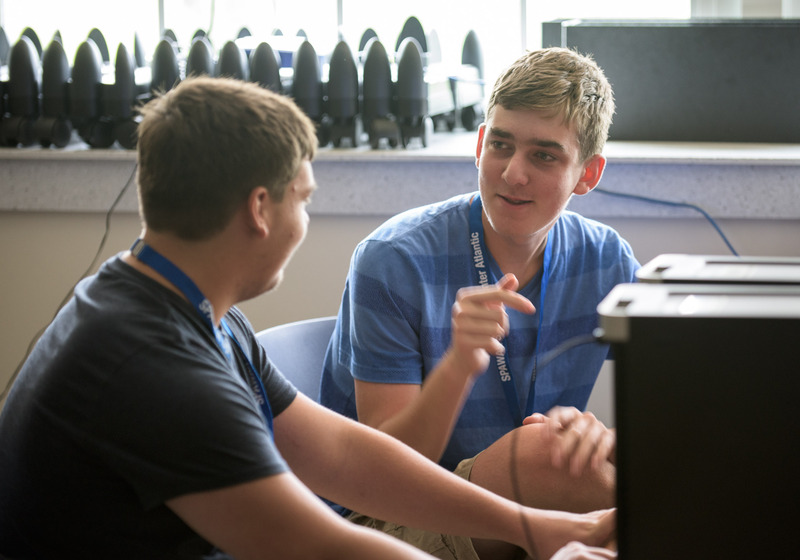 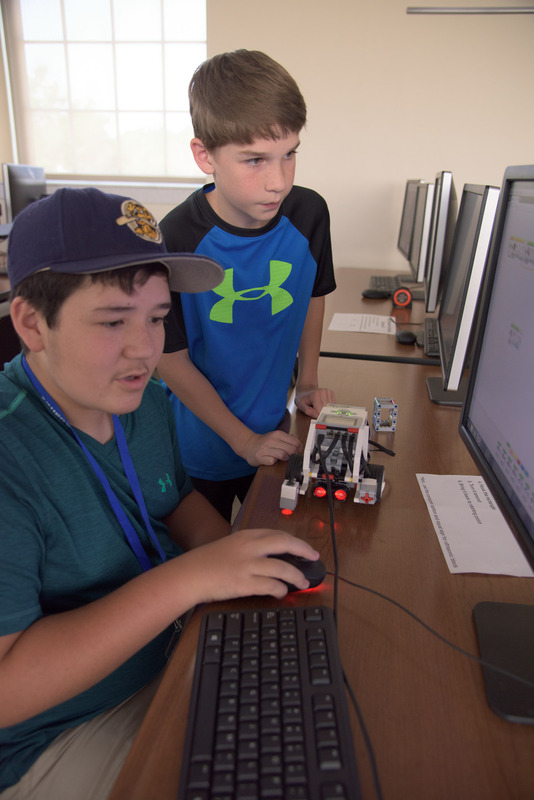 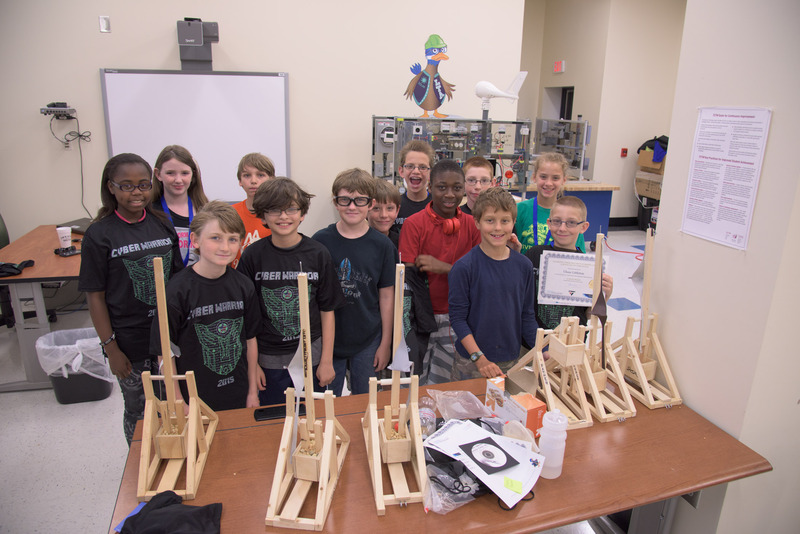 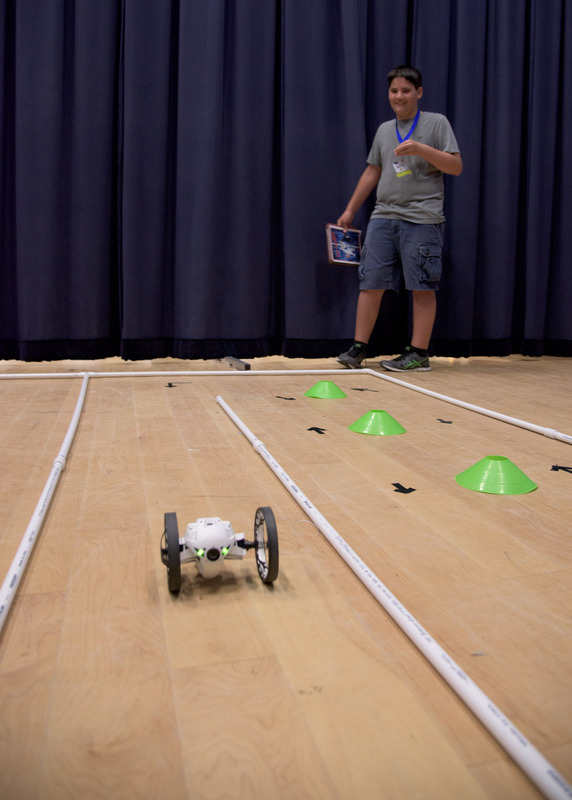 Each class came up with a project to design, and with the assistance of their assigned ACE Mentors, created detailed plans including material costs. 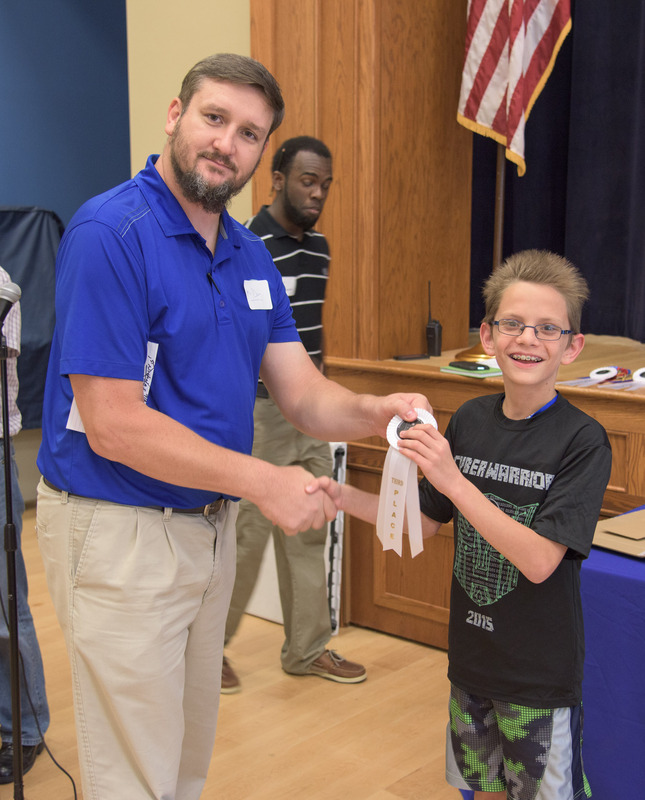 Each student presented their part of the class project at the banquet. 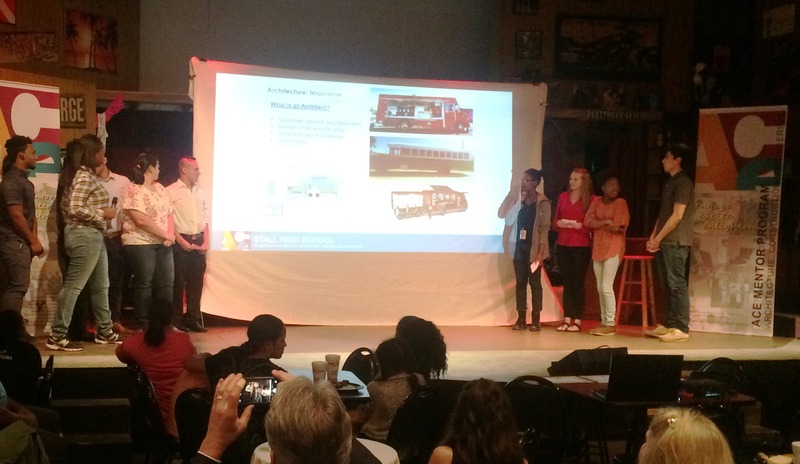 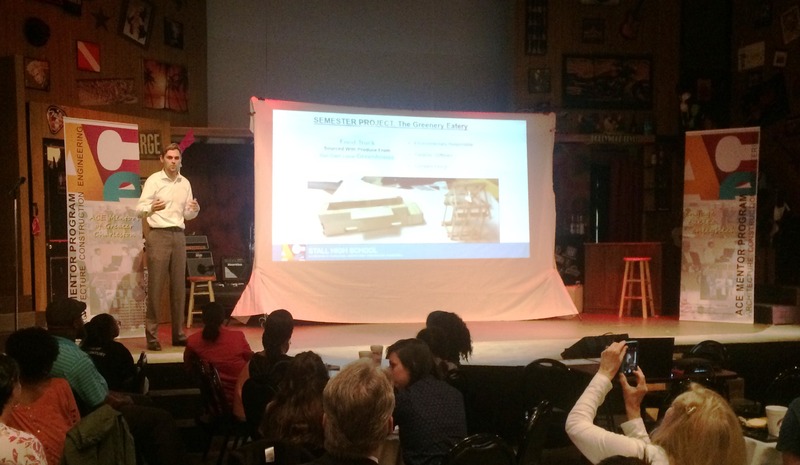 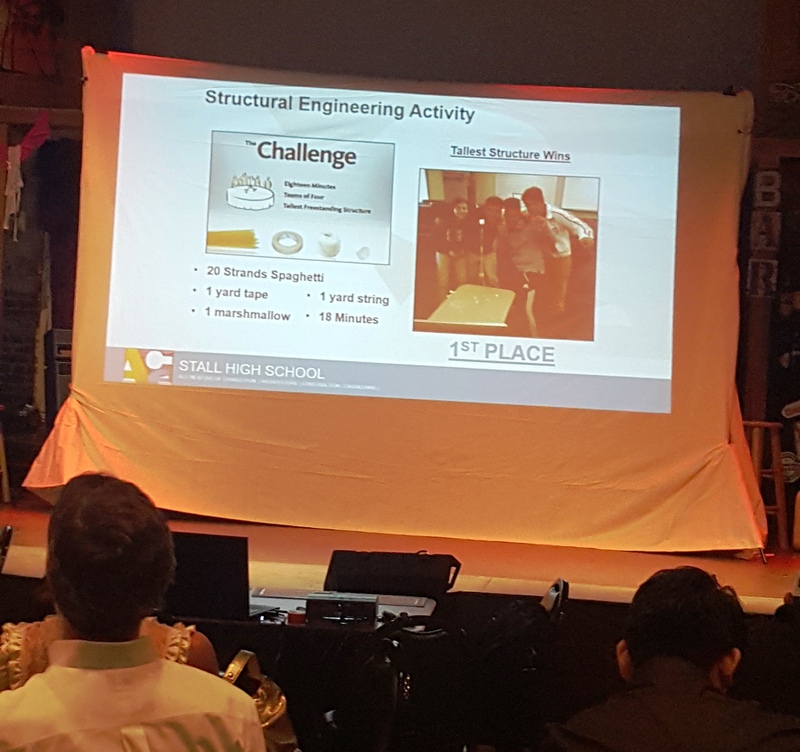 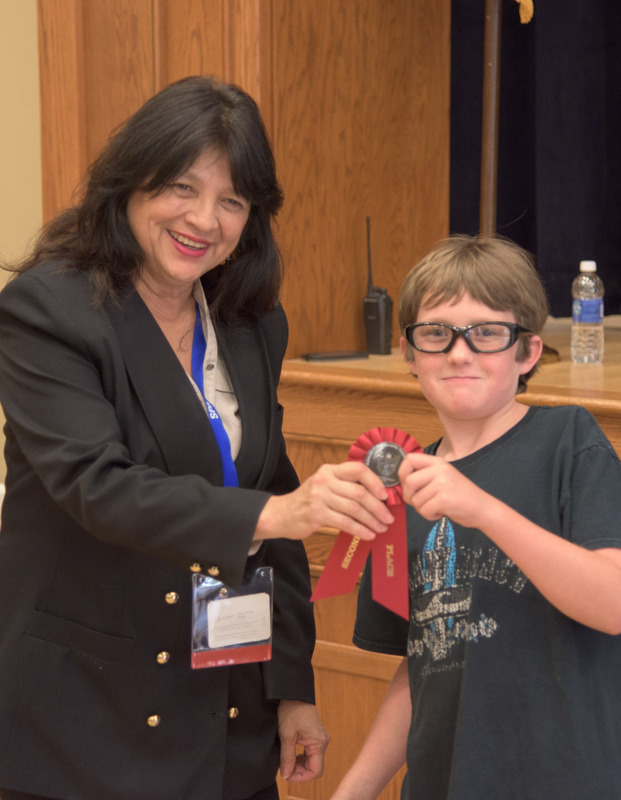 Check out the collection of pictures of their presentations in the gallery below! 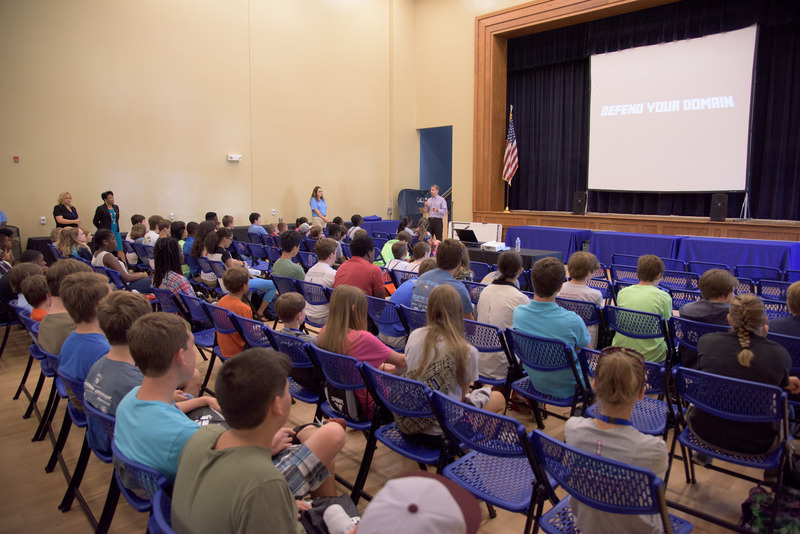 The keynote speaker for the event was the Honorable John Tecklenburg, Mayor of the City of Charleston. 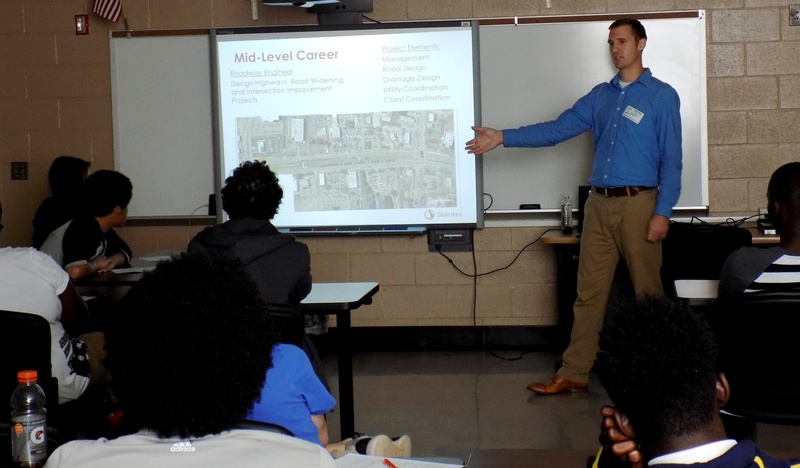 He shared encouraging words for the students, and challenged them to continue their education to ensure Charleston’s future work force will be prepared to keep up with construction demands. 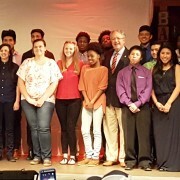 Mayor Tecklenburg also thanked the volunteers that make the ACE Mentors program possible in our schools. 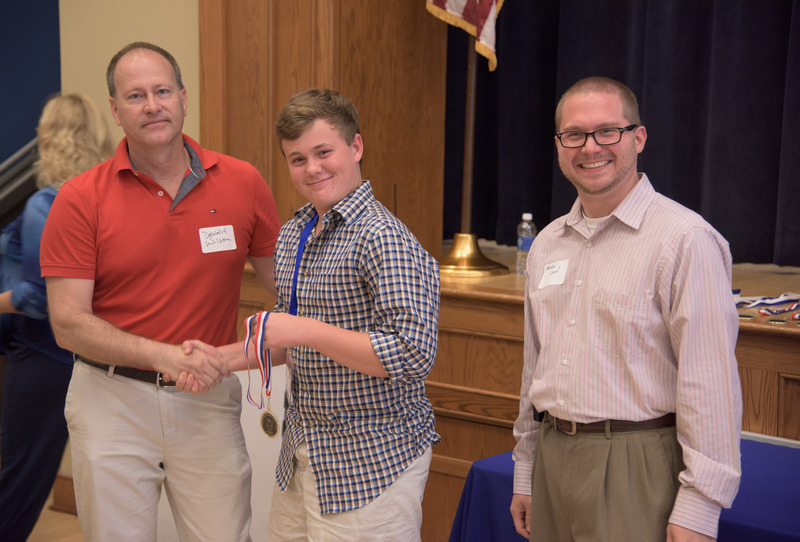 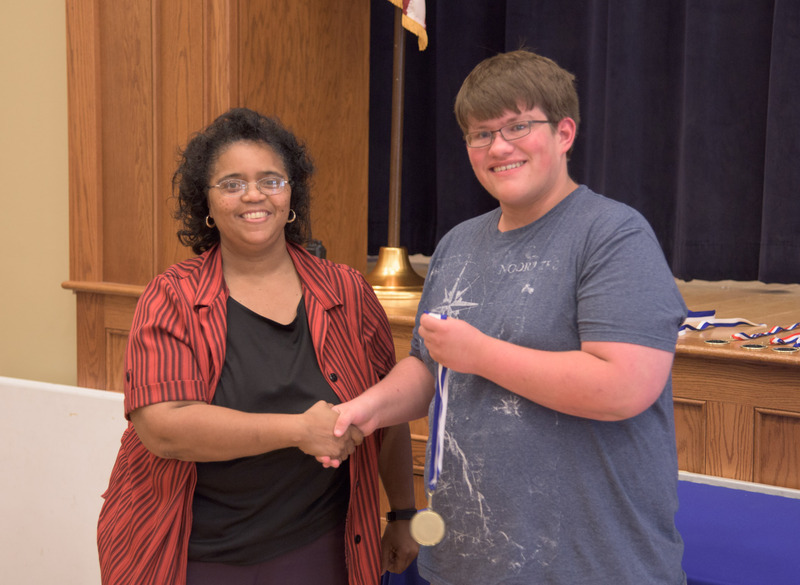 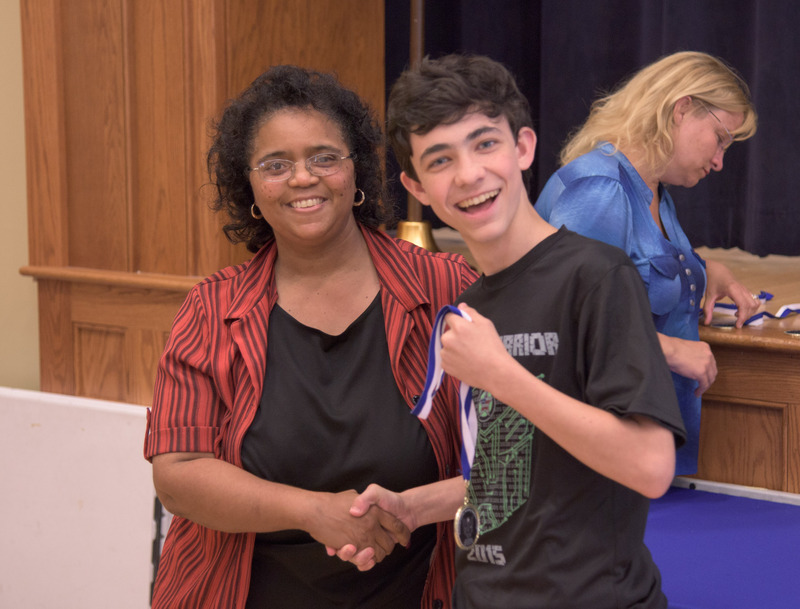 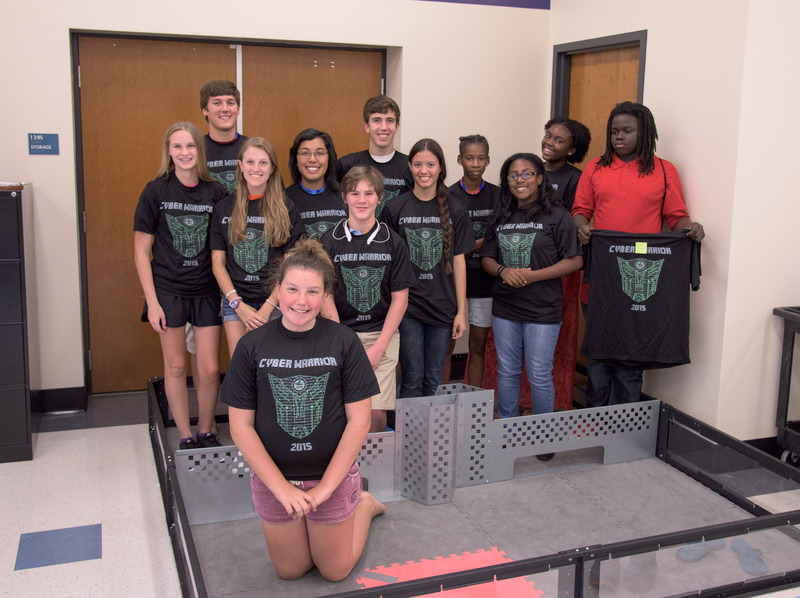 Thank you to Rob Turner, local chairperson of the Charleston ACE Mentors chapter, and all the generous ACE Mentors for their investment of time and talent in CCSD students this year! 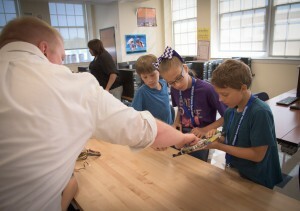 Mr. Micheal Breedlove’s students from R. B. Stall HS recently visited the Charleston AT&T offices for a tour and interactive activities. 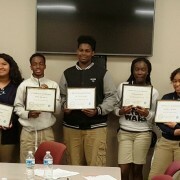 The students received certificates for completing the same instructional program the associates in the retail stores go through. 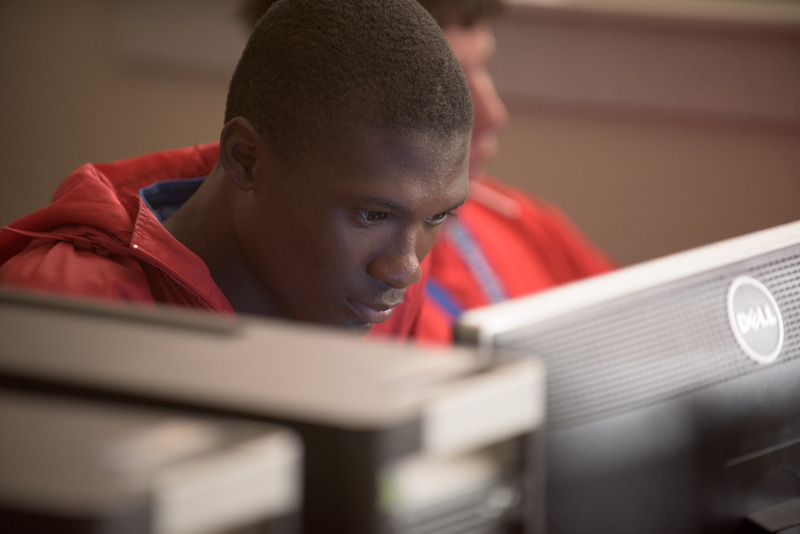 The training program covers customer service, contracts, and company upward mobility. 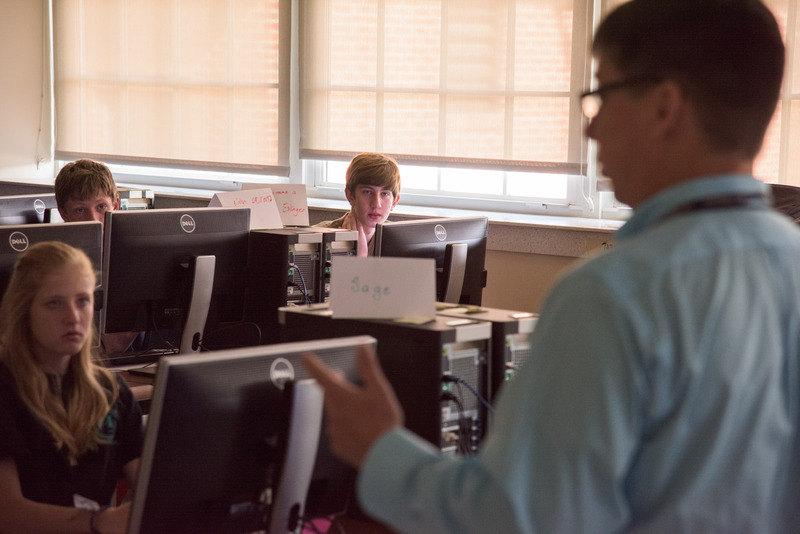 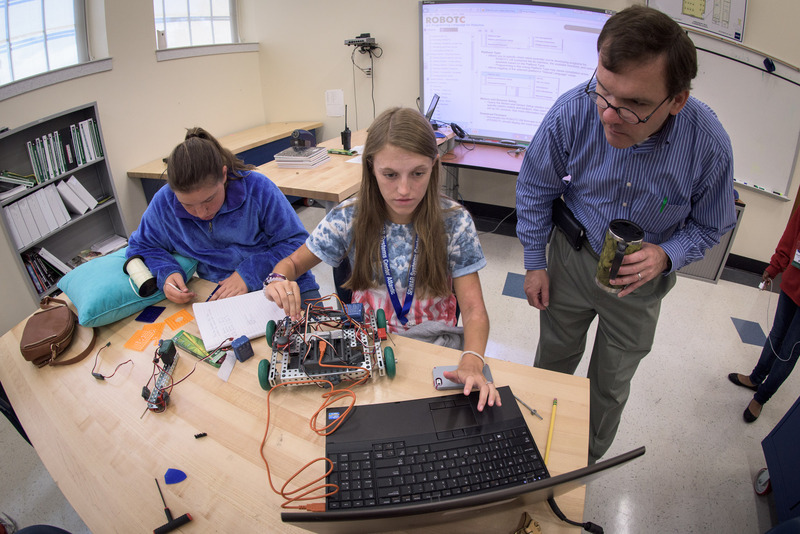 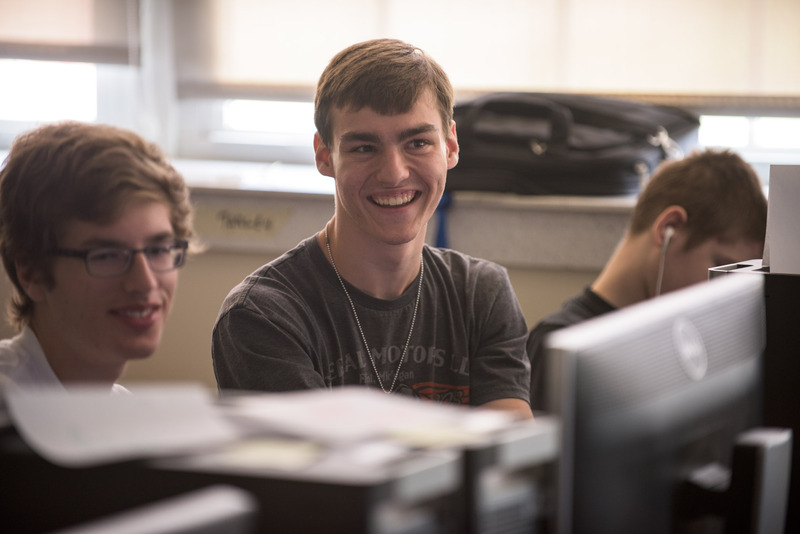 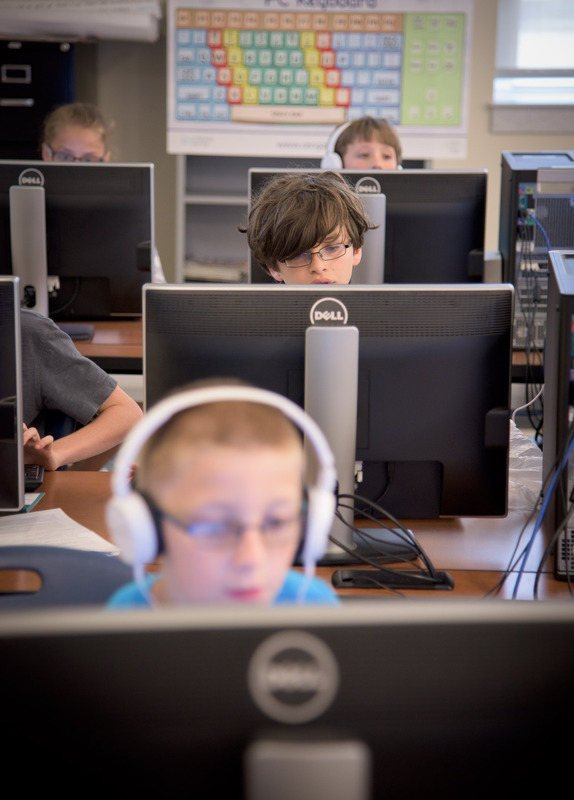 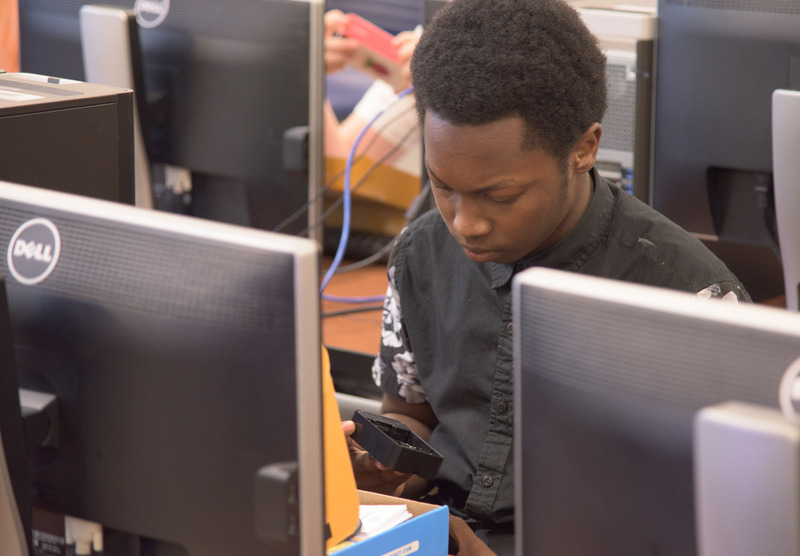 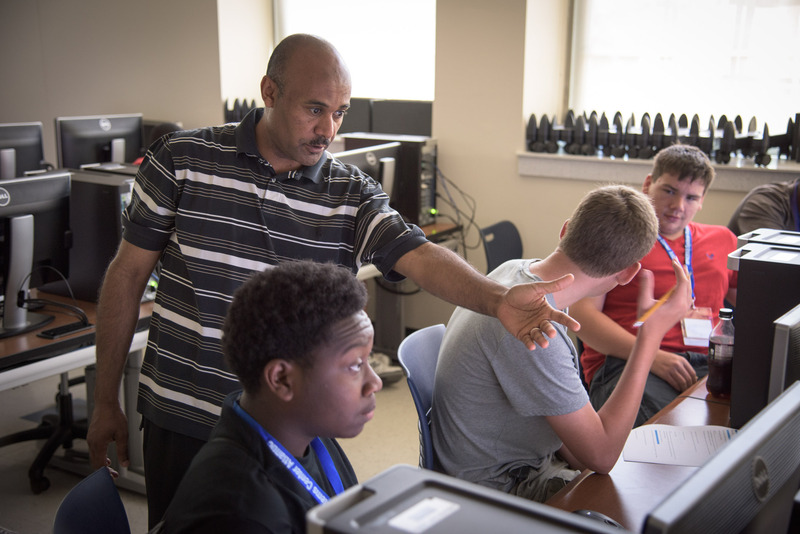 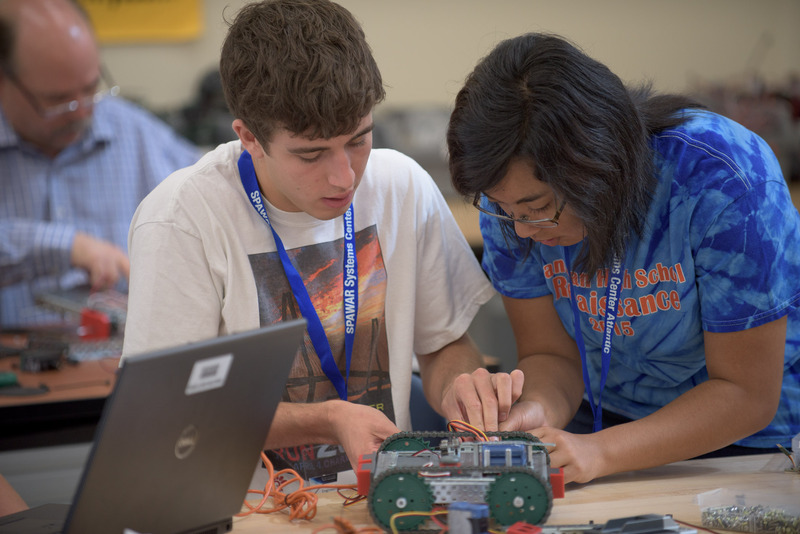 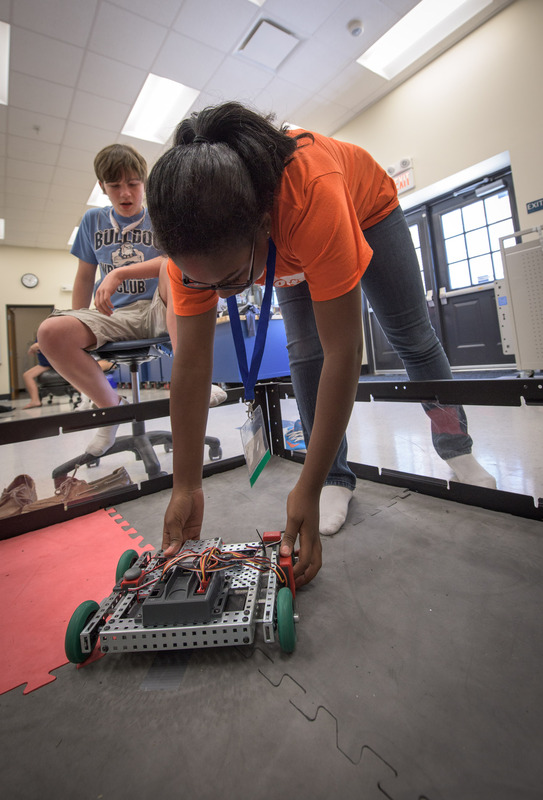 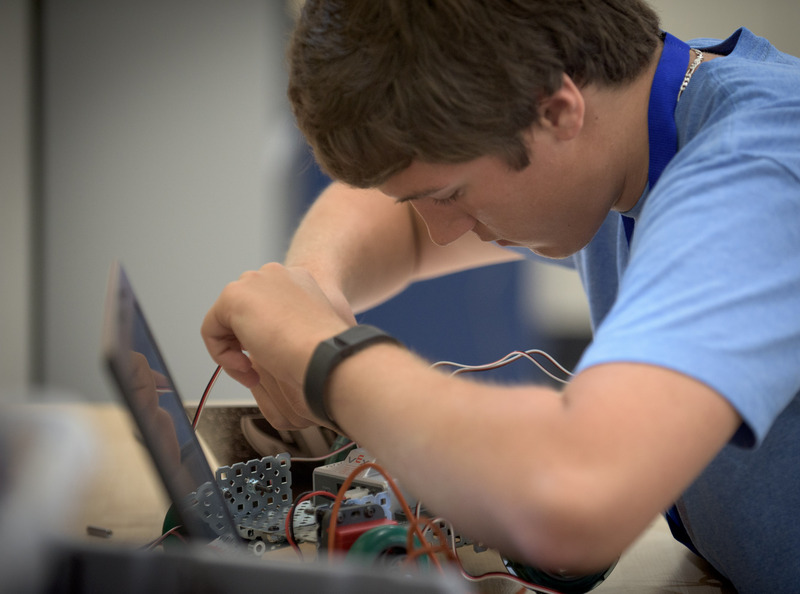 “Work-based learning experiences like these truly empower our students to make wise decisions as they prepare for college and career”, said Mr. Breedlove, a business teacher and athletics coach at R. B. 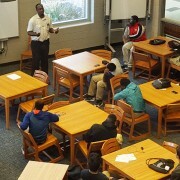 Stall High School in North Charleston. “AT&T has been a terrific business partner,” Breedlove added. 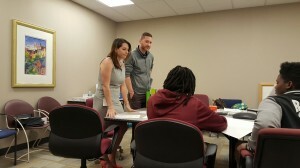 GET PAID TO LEARN THROUGH TTC! 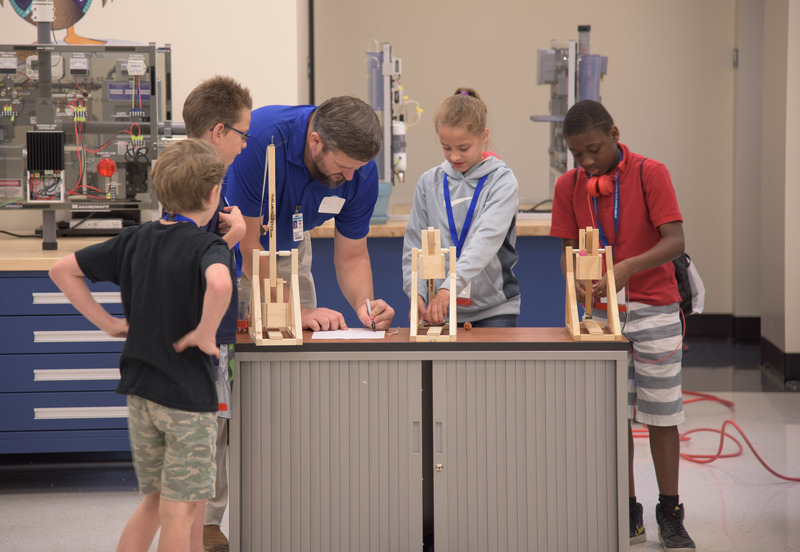 Trident Technical College together with regional employers are offering rising high school juniors and seniors the opportunity to get paid to learn as youth apprentices. 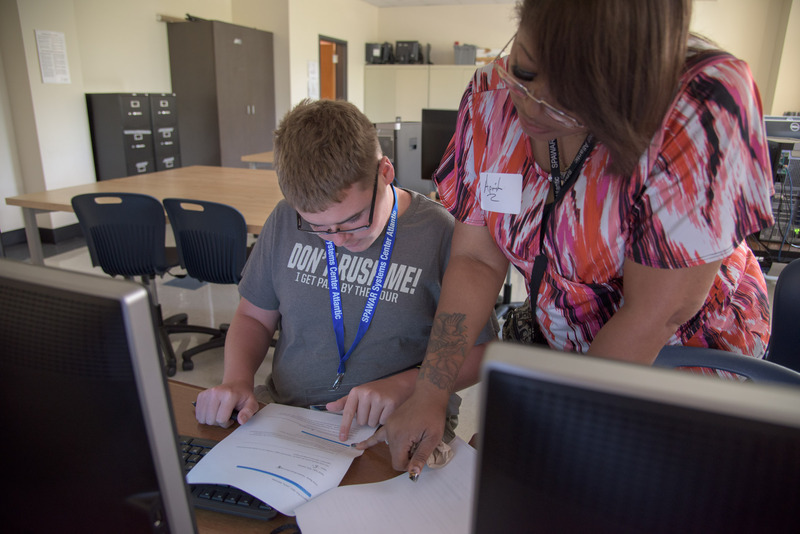 Apprentices receive paid on-the-job training with in-the-classroom instruction as dual credit students through TTC’s Workforce Academies. 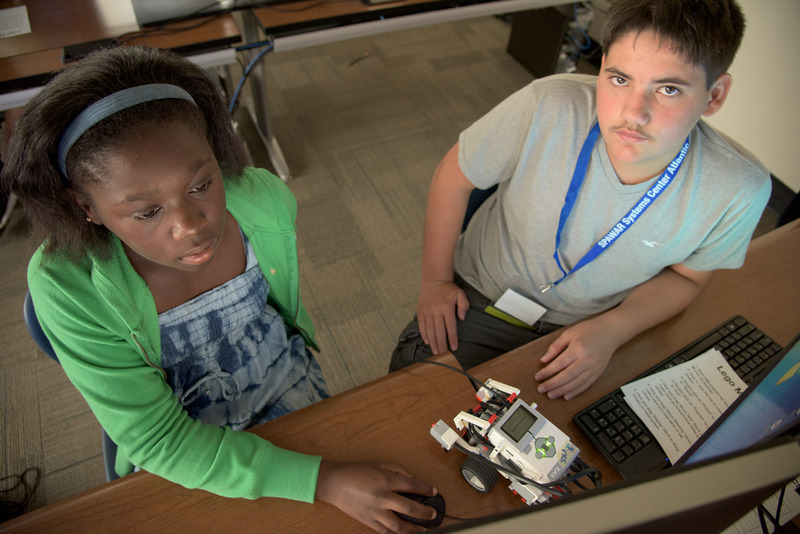 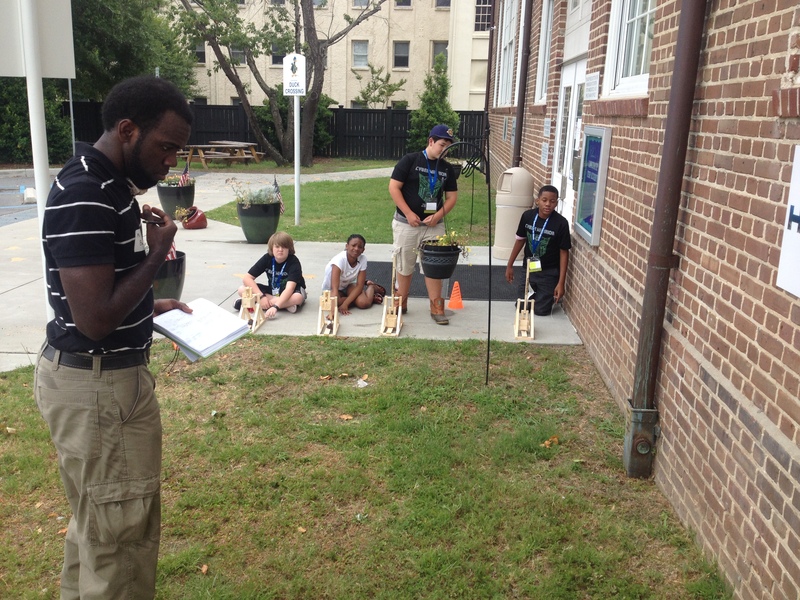 All tuition and costs for youth apprentices are covered by the Charleston Metro Chamber of Commerce. 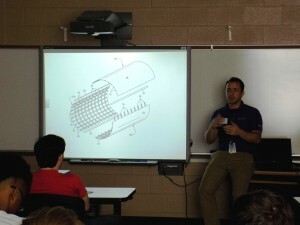 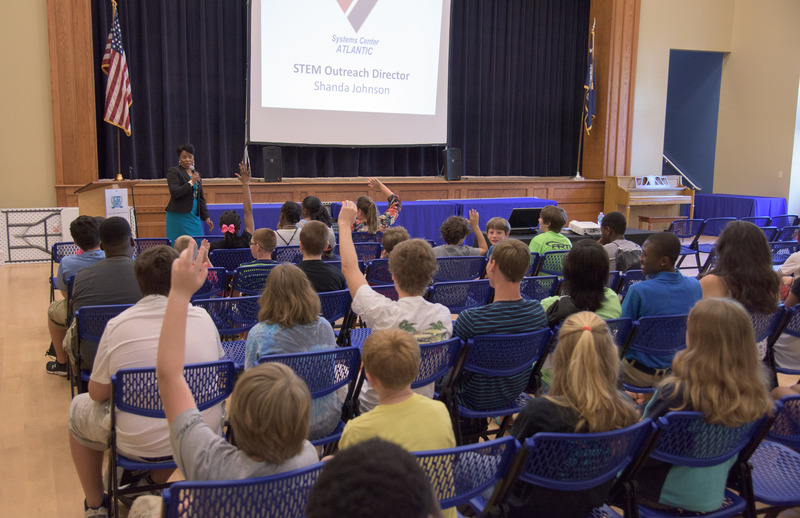 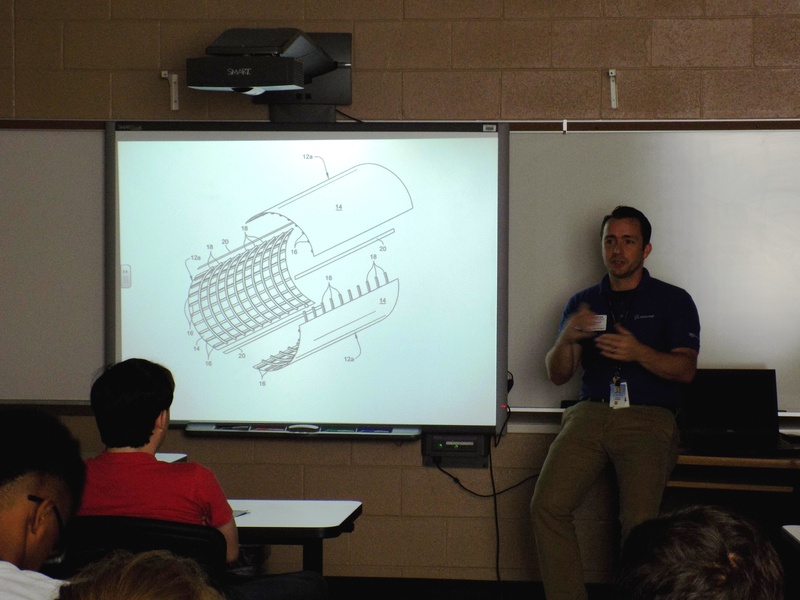 West Ashley High School Engineering and Mechatronics students recently enjoyed guest speakers from Stantec and Boeing SC. 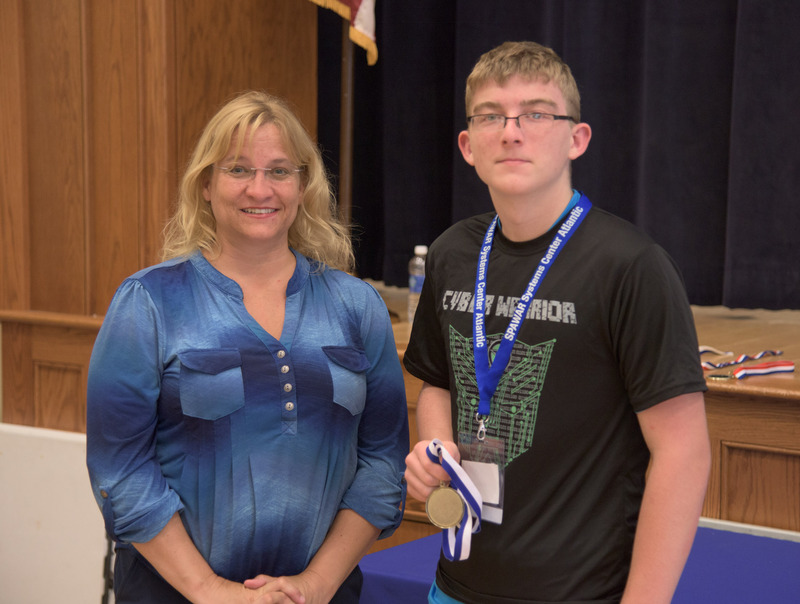 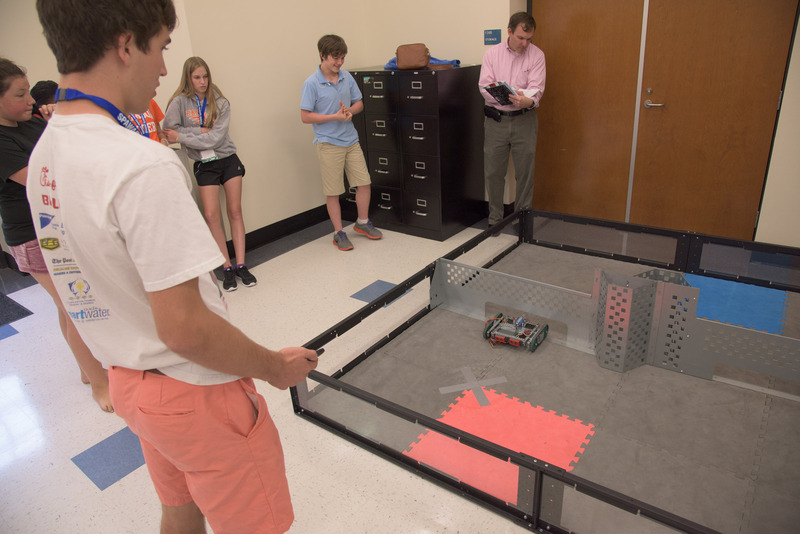 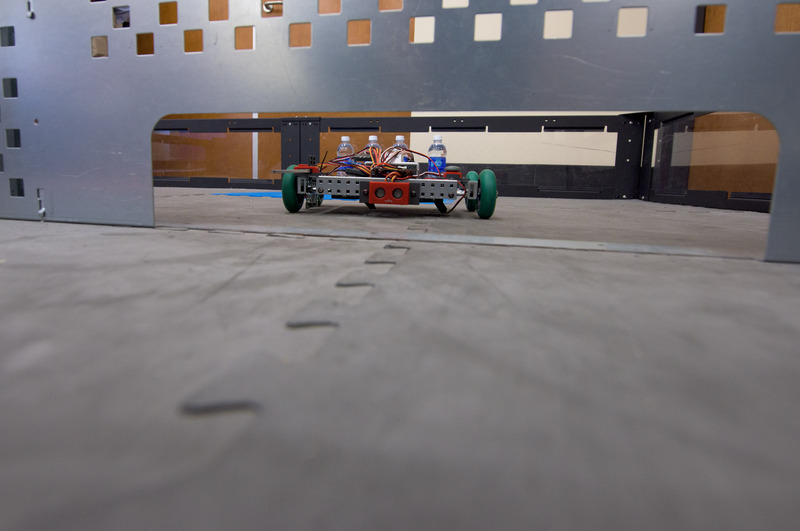 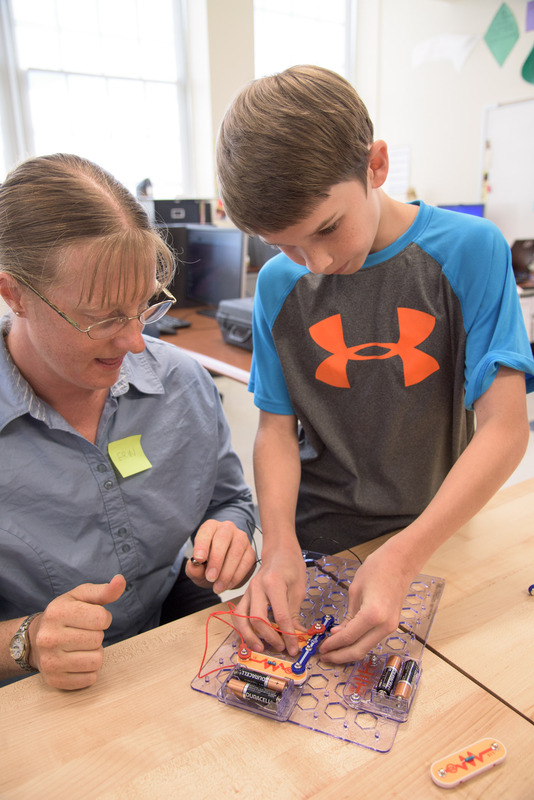 Both Dr. Barbara Leonard, engineering instructor and Mr. Nicholas Holmes, WAHS mechatronics instructor agreed the visits were very impactful for the students. 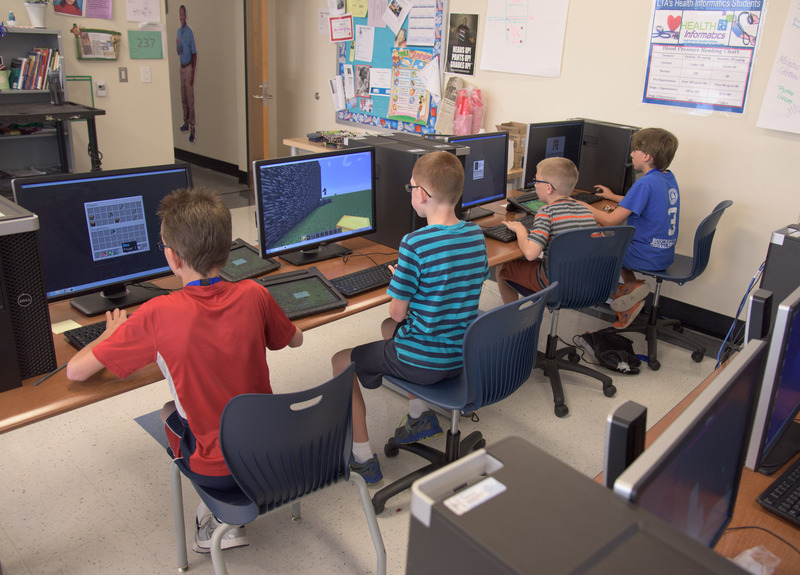 “We are very thankful for their investment of time and energy in our classrooms” said Dr. Leonard. 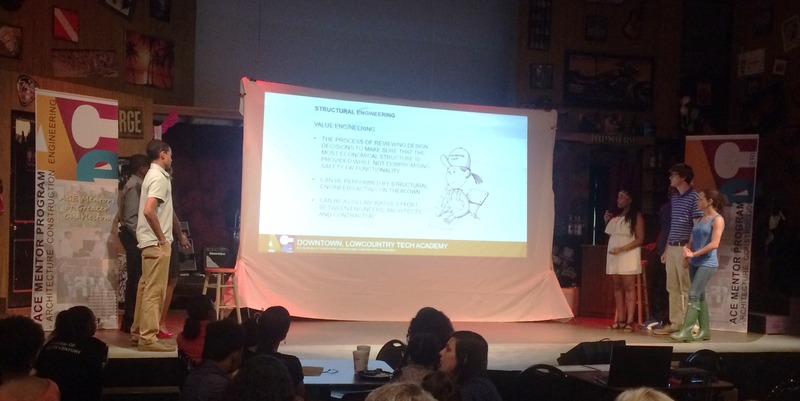 “Guest speakers like these add important relevance to classroom instruction,” added Mr. Holmes. 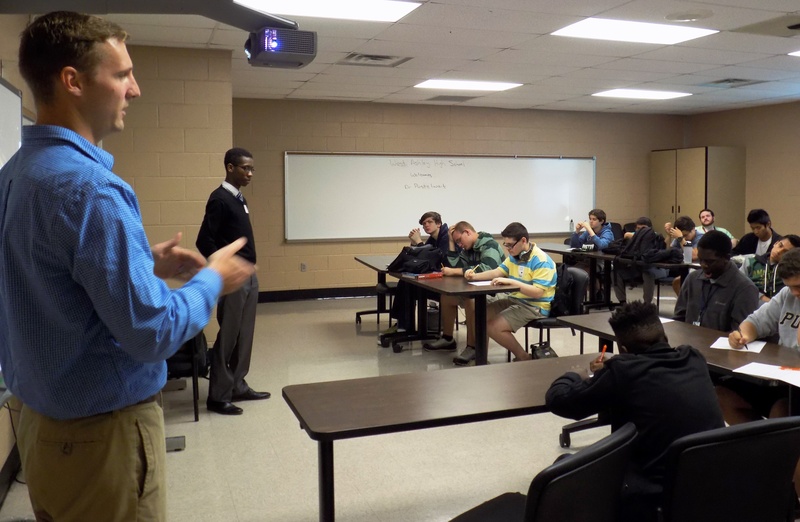 Huge thanks to Scott Baker and Saeed Jones, both Civil Engineers with Stantec, and Boeing SC Stress Engineer Joel Driskill for speaking to West Ashley High School Engineering and Mechatronics students. 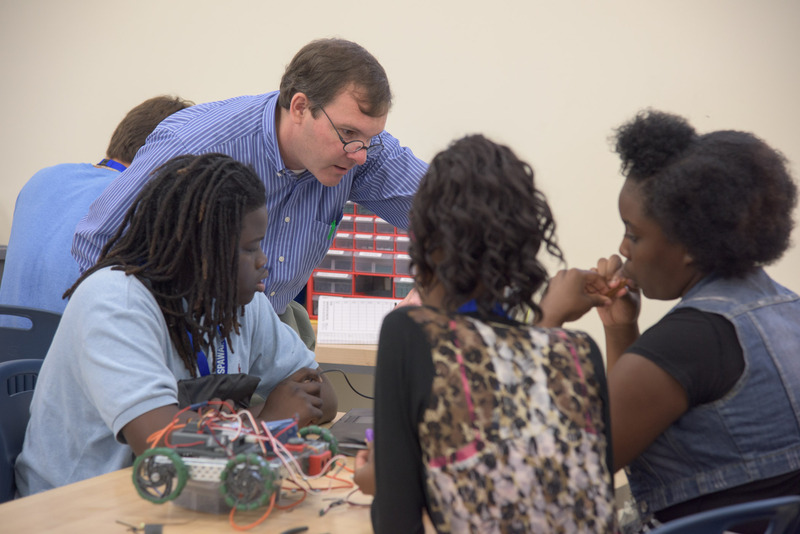 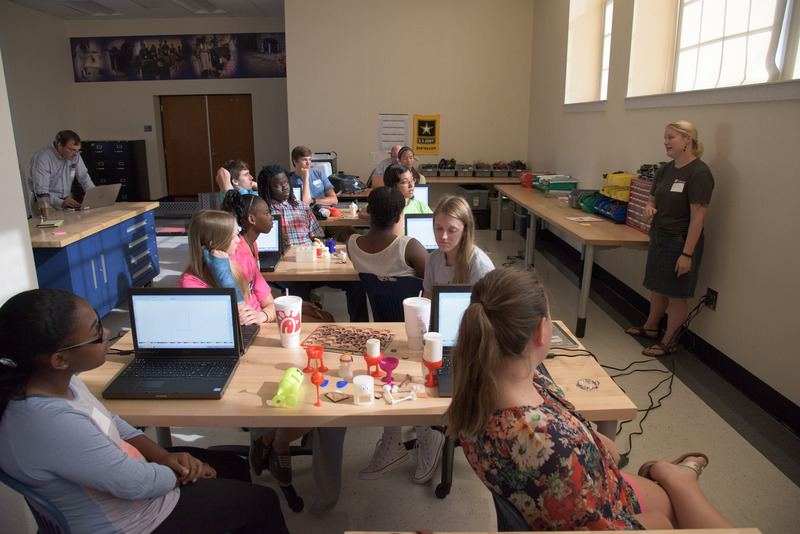 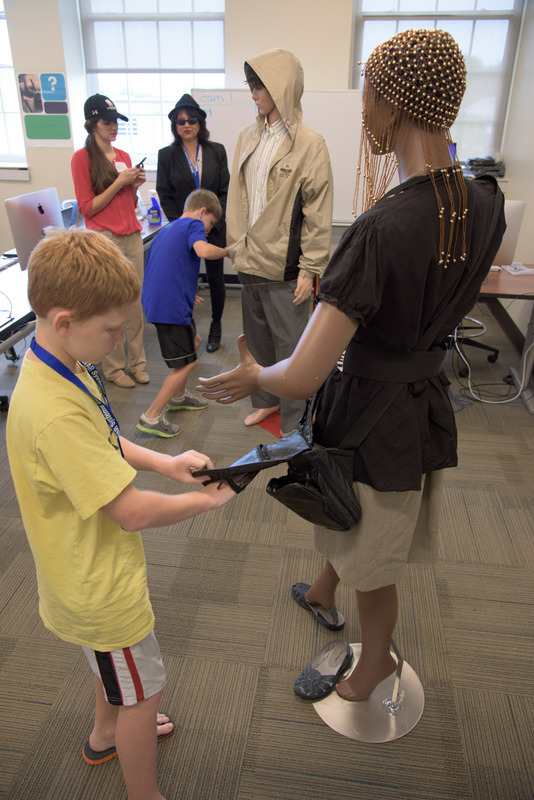 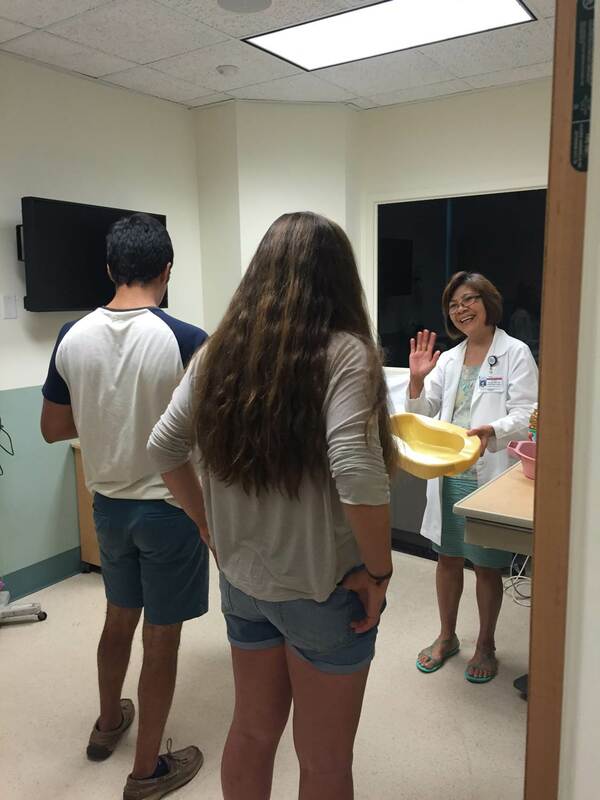 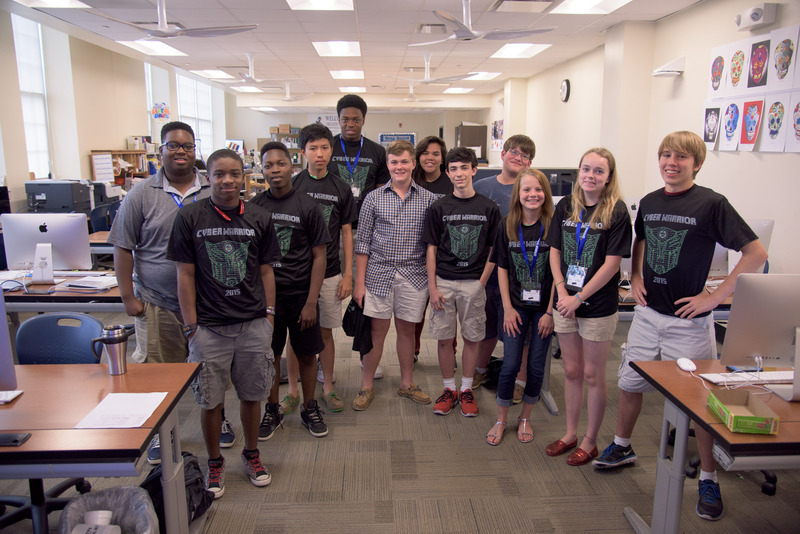 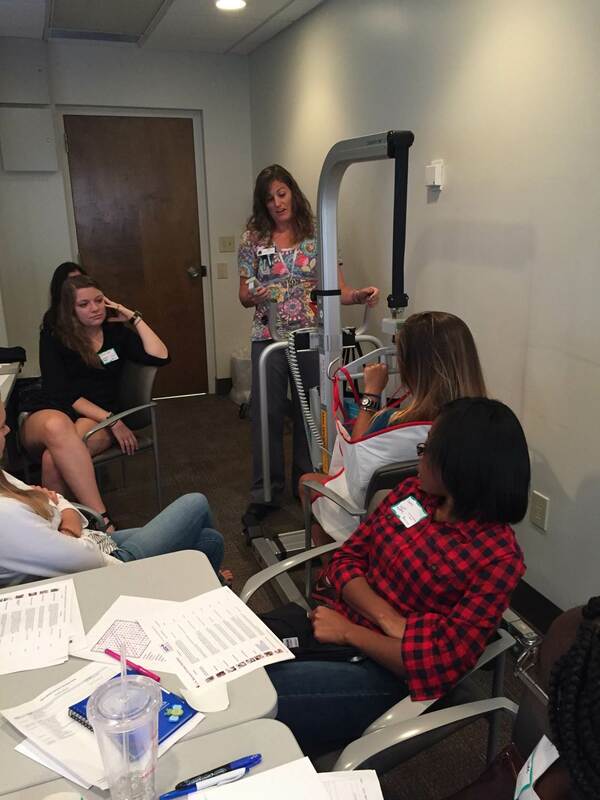 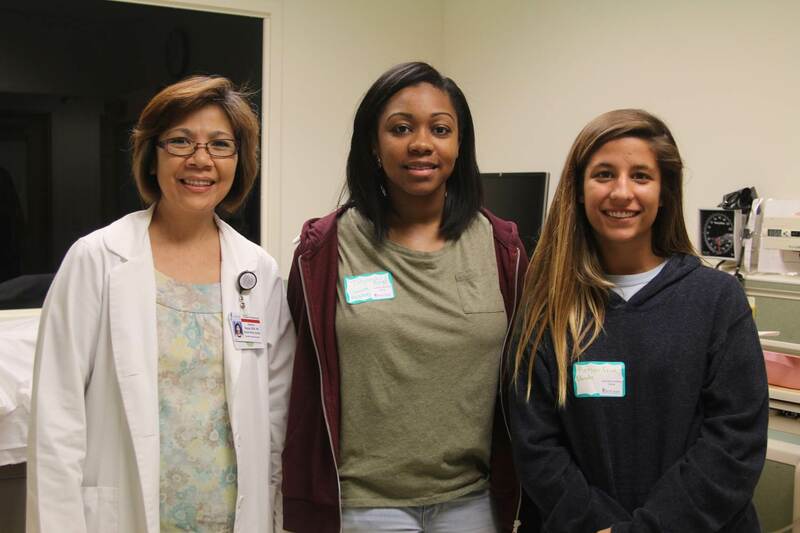 The Medical University of South Carolina hosted 14 CCSD students from June 24-26 for an interactive work-based learning experience. 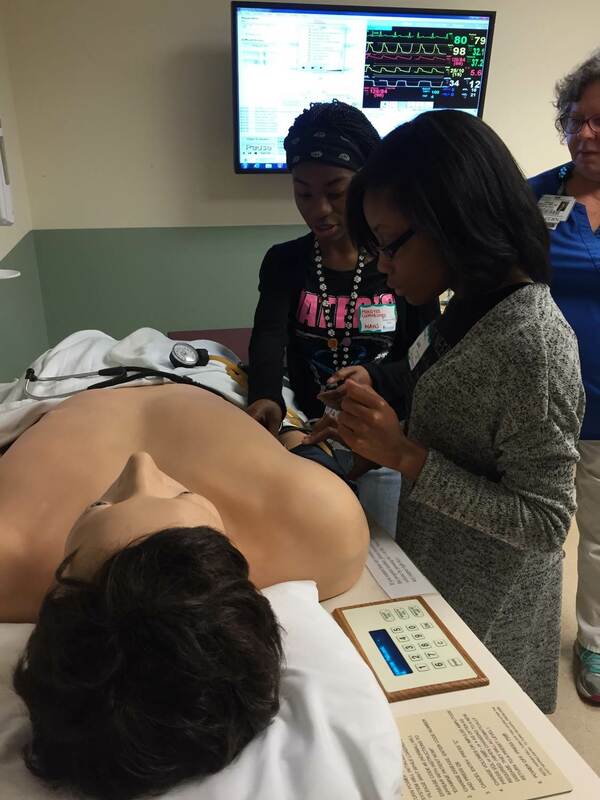 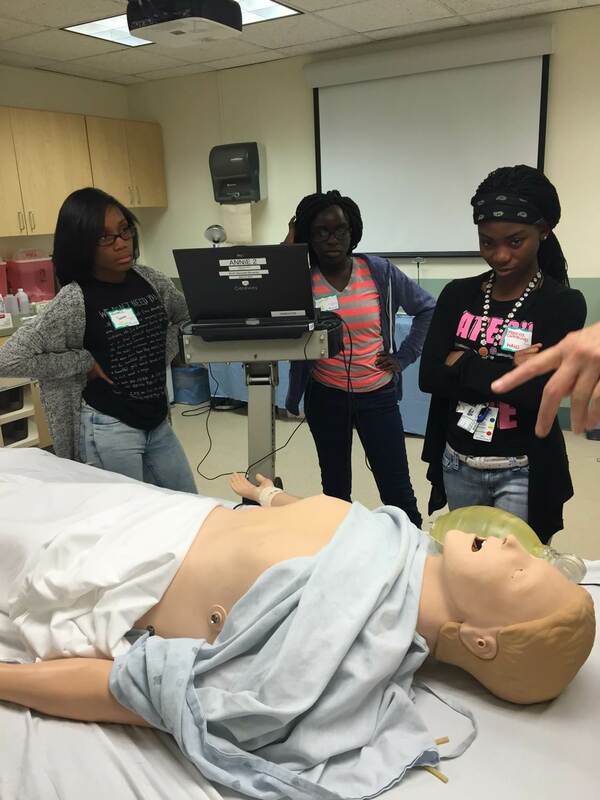 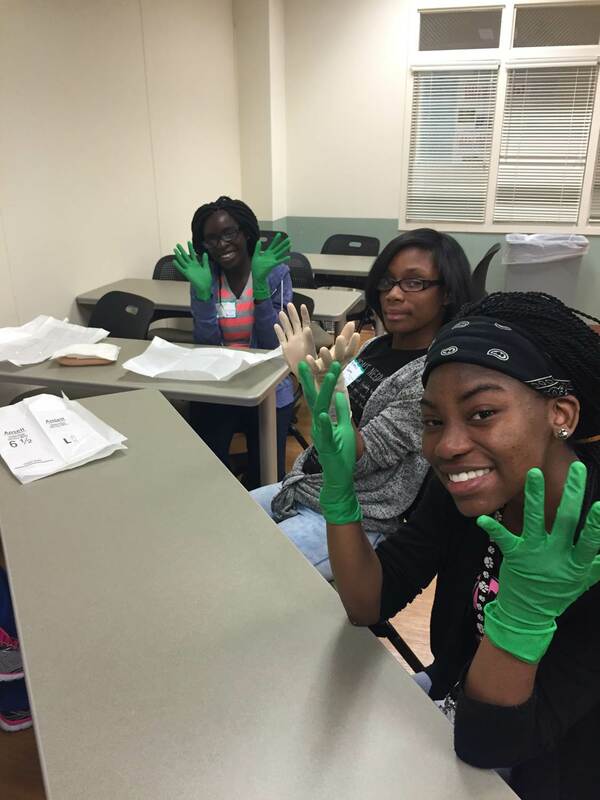 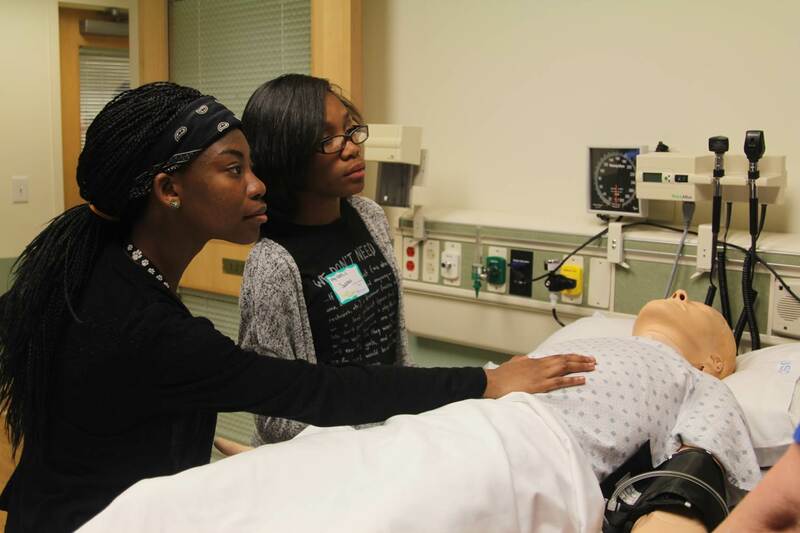 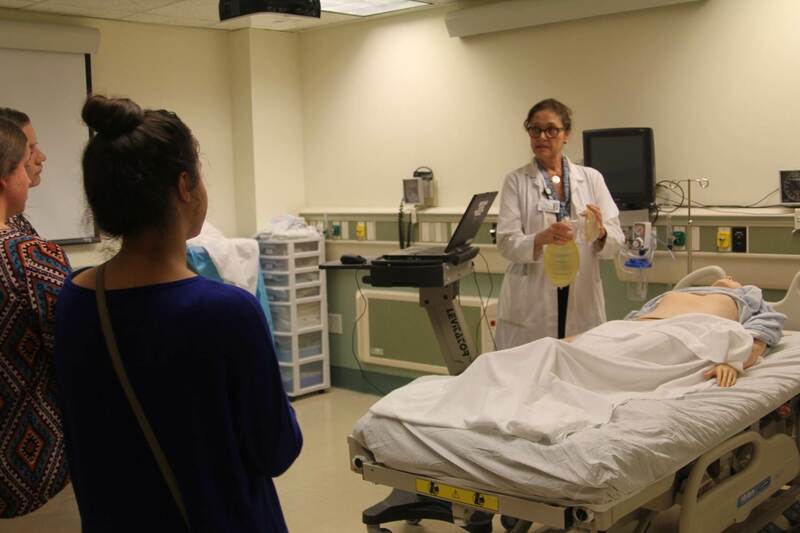 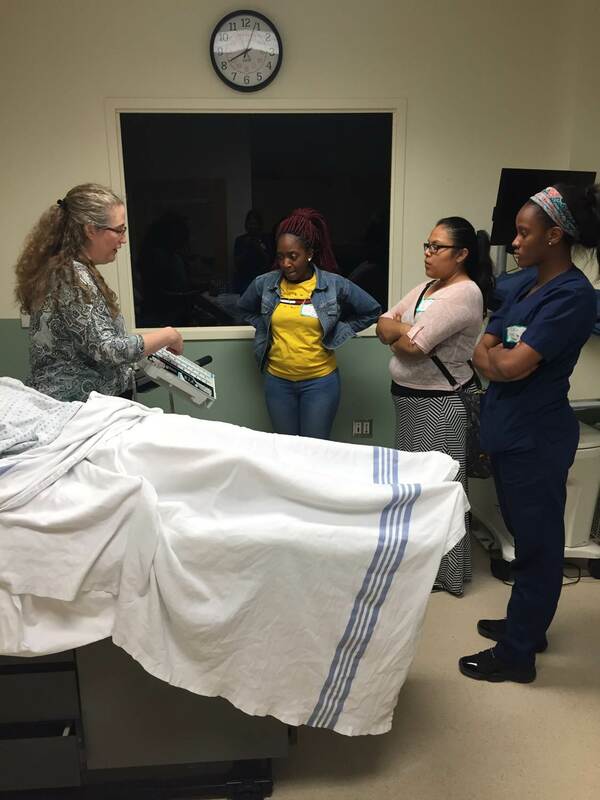 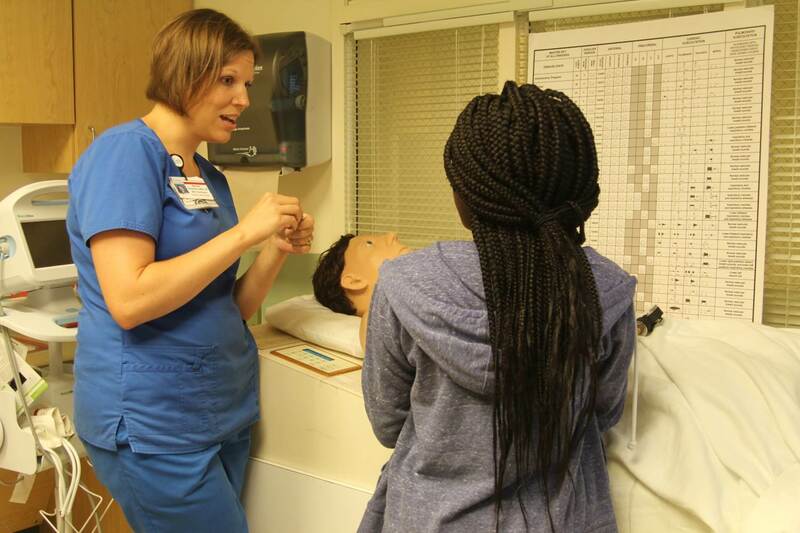 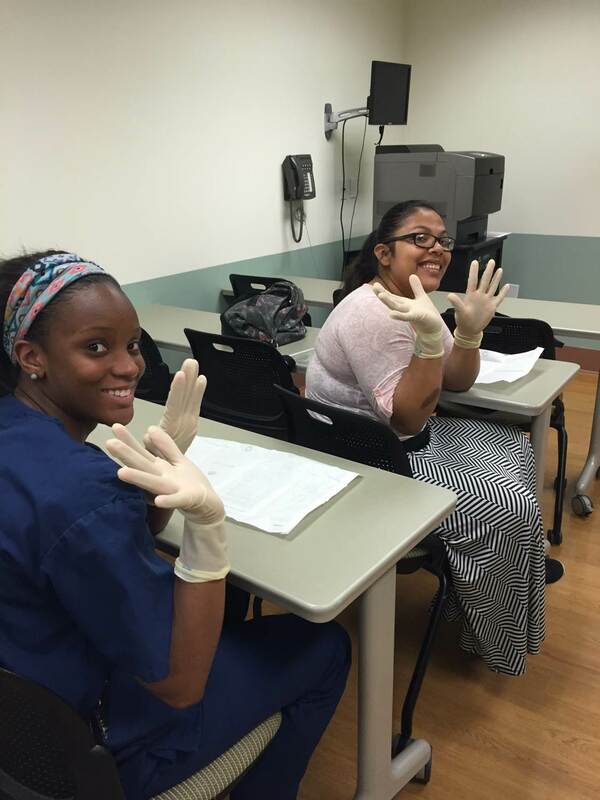 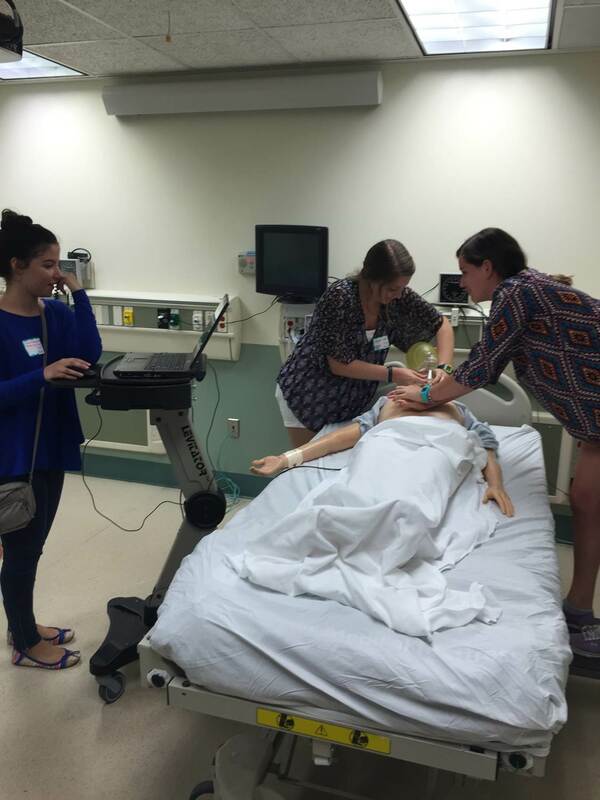 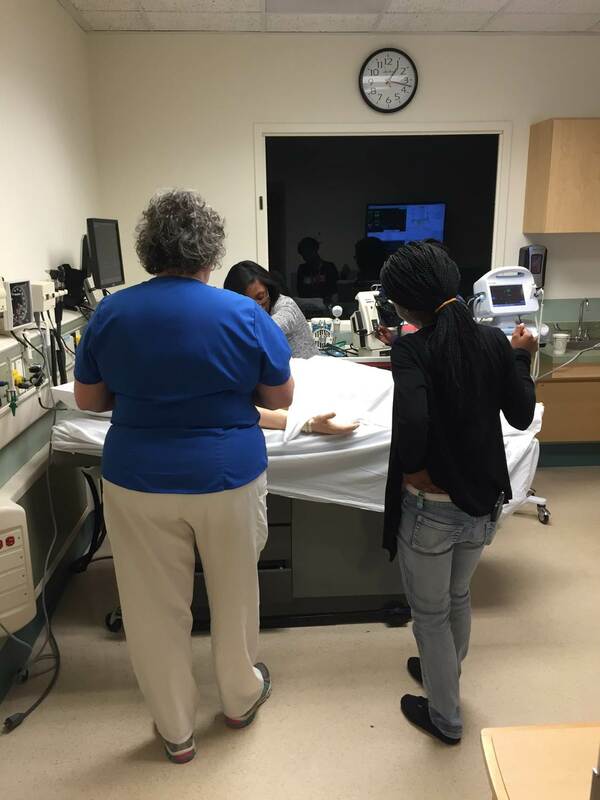 The MUSC Nursing Career Camp allows health science CTE majors to interact with medical professionals and “learn by doing” in the university’s simulation lab. 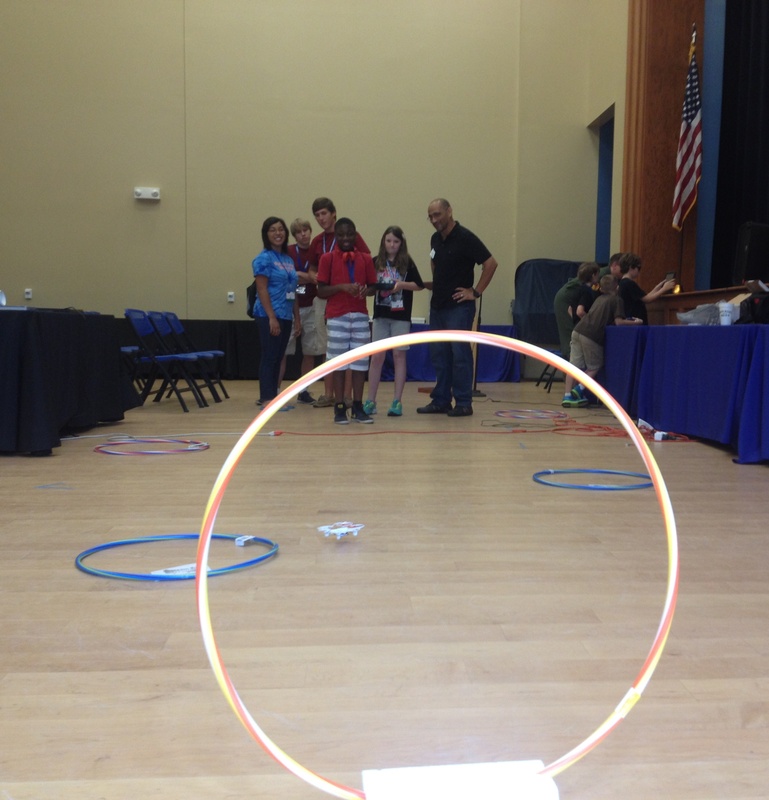 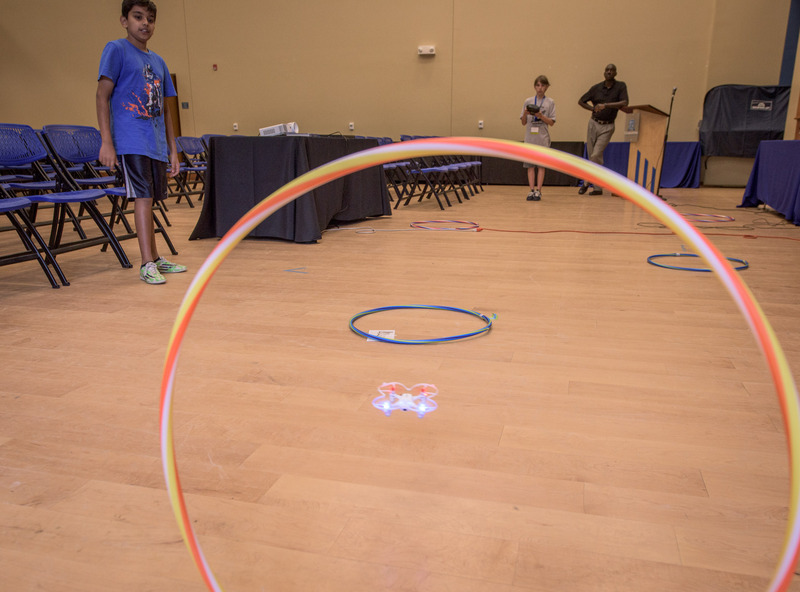 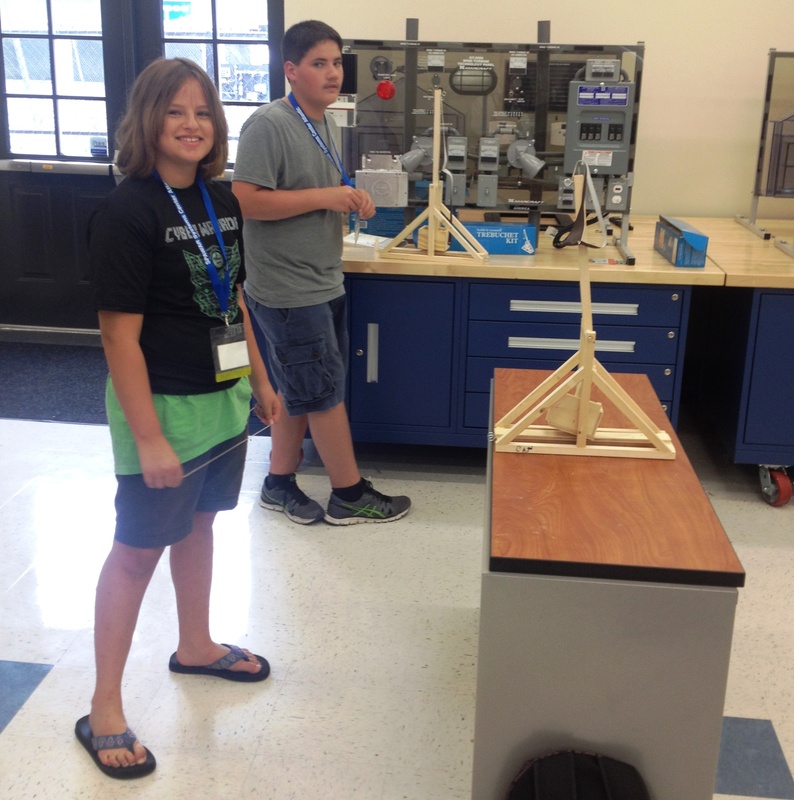 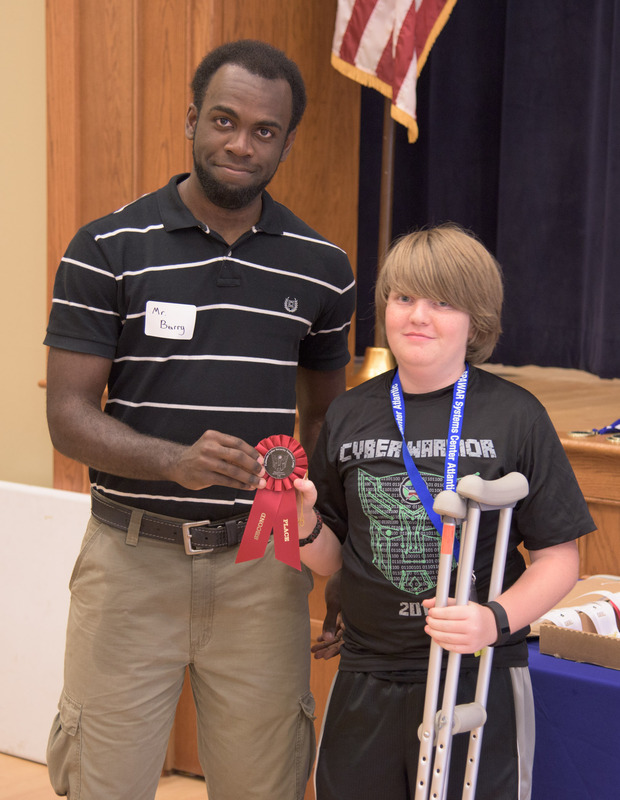 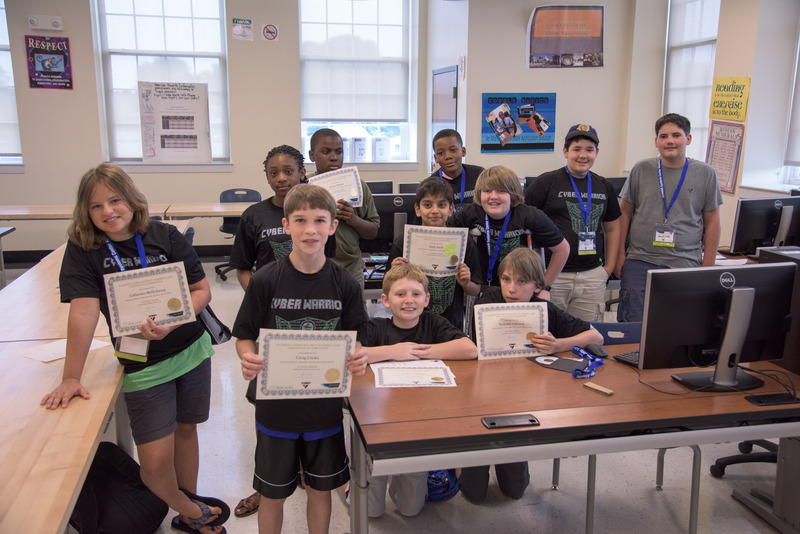 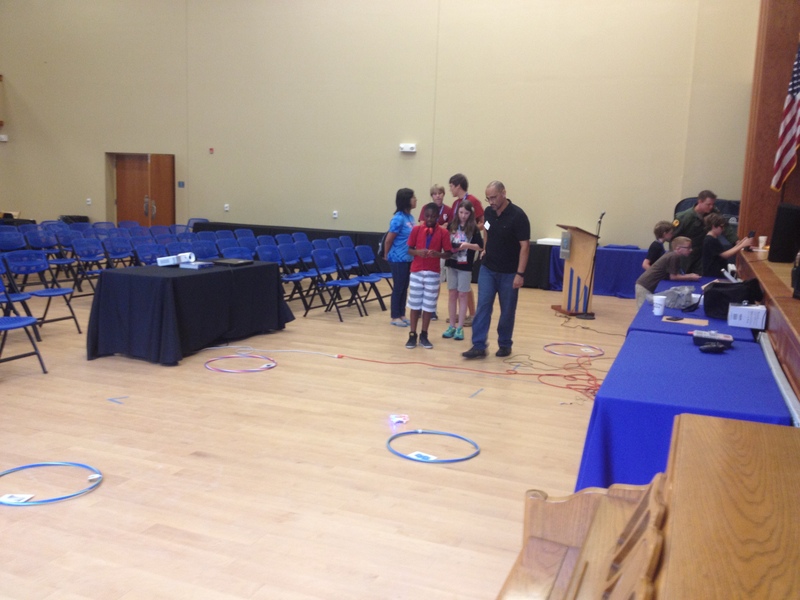 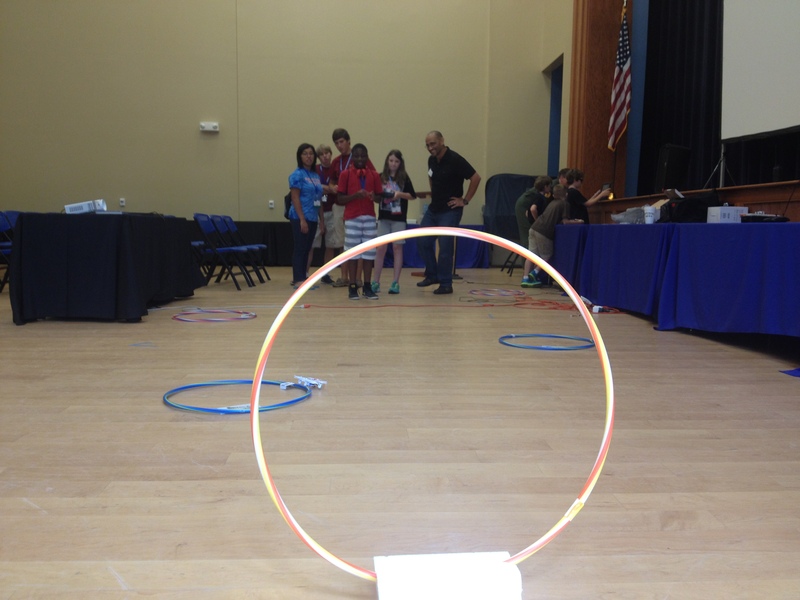 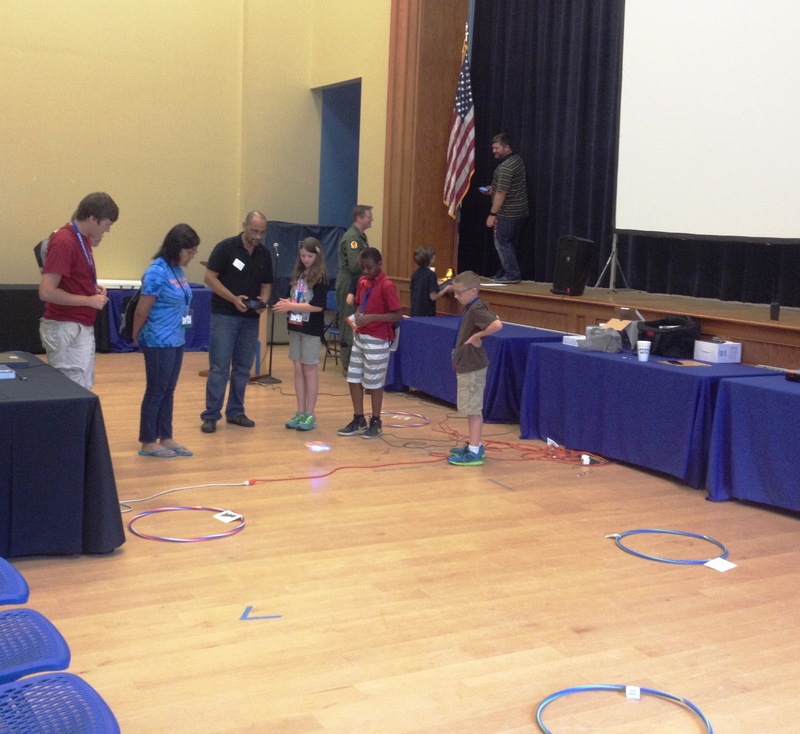 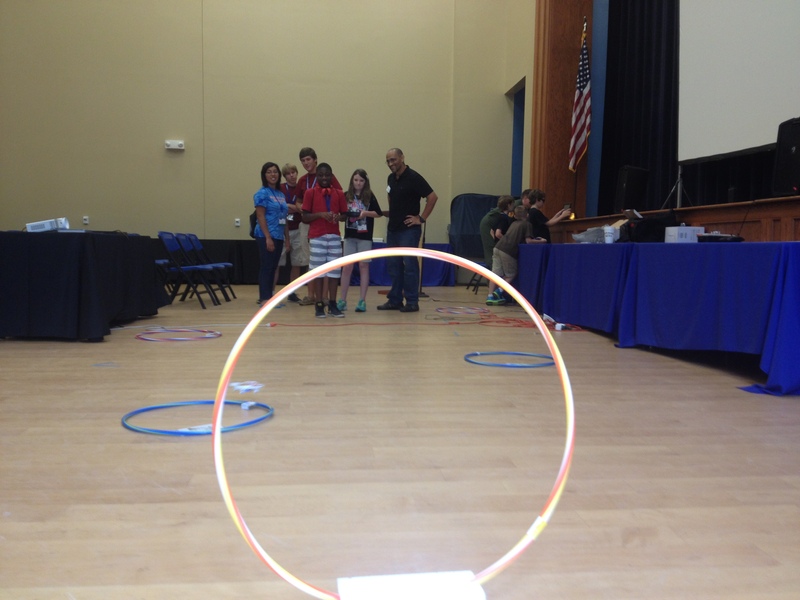 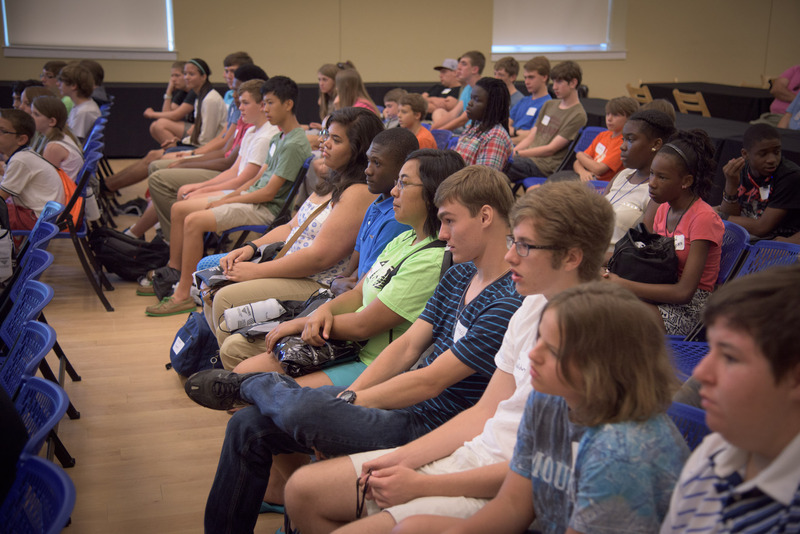 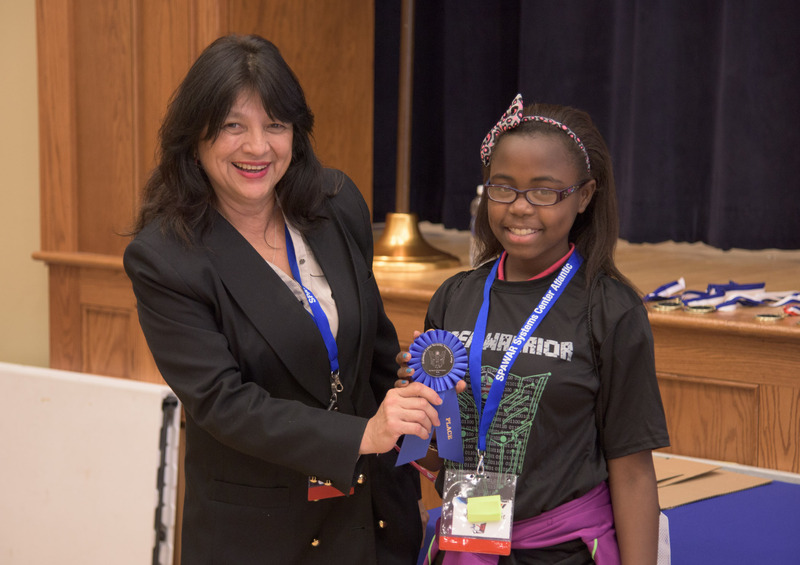 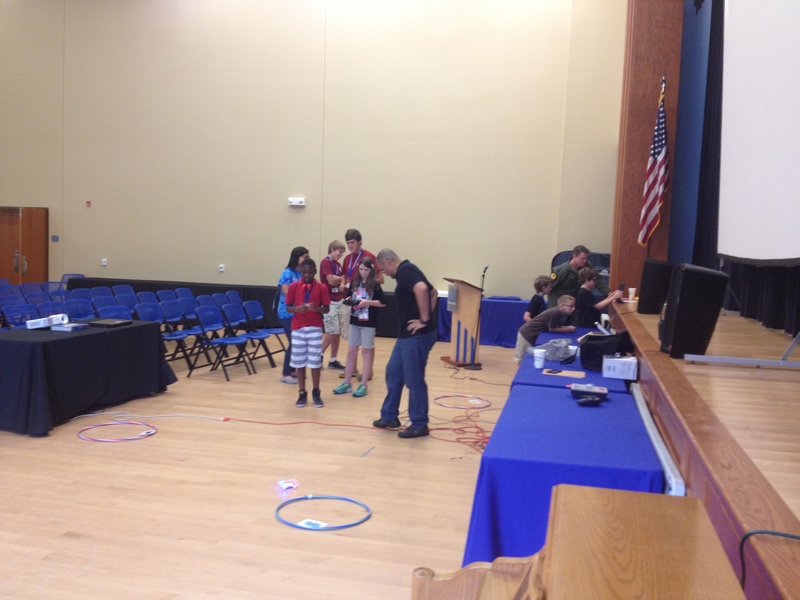 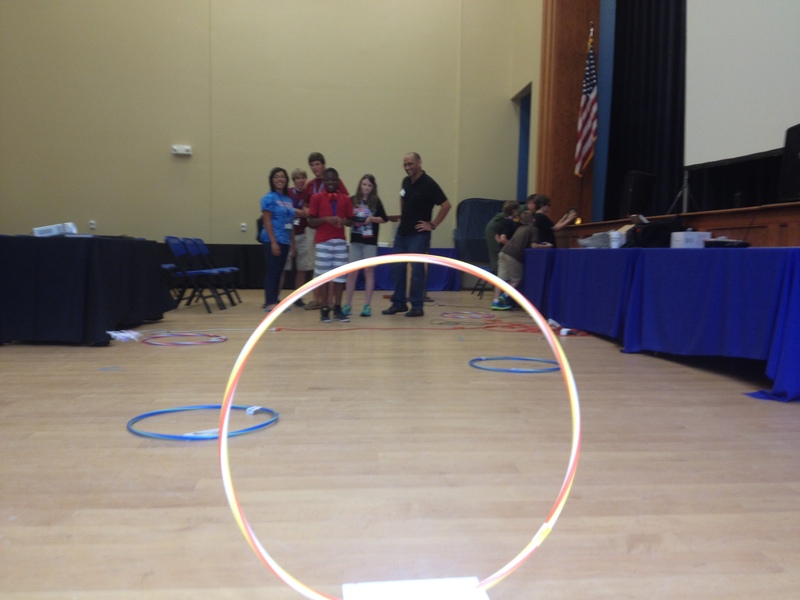 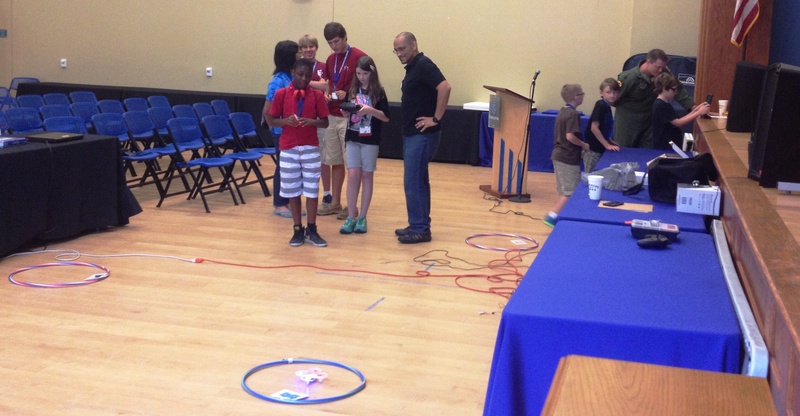 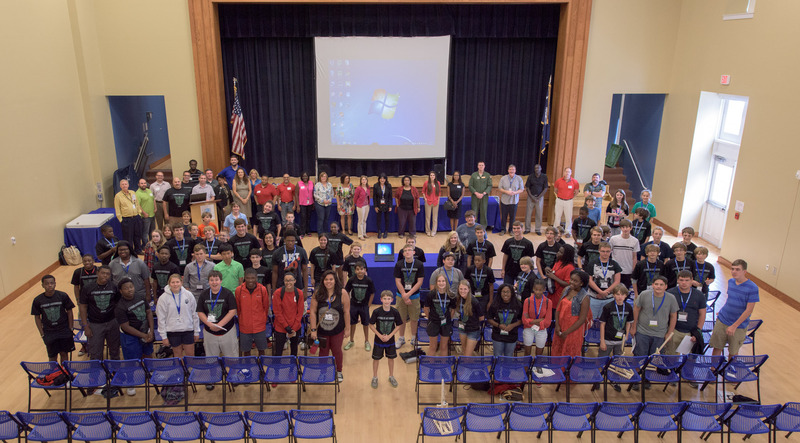 Students from the following schools participated: West Ashley HS, Wando HS, R. B. 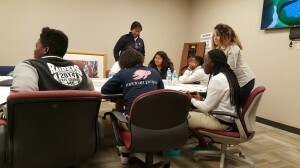 Stall HS, Garrett Academy, and Academic Magnet HS. 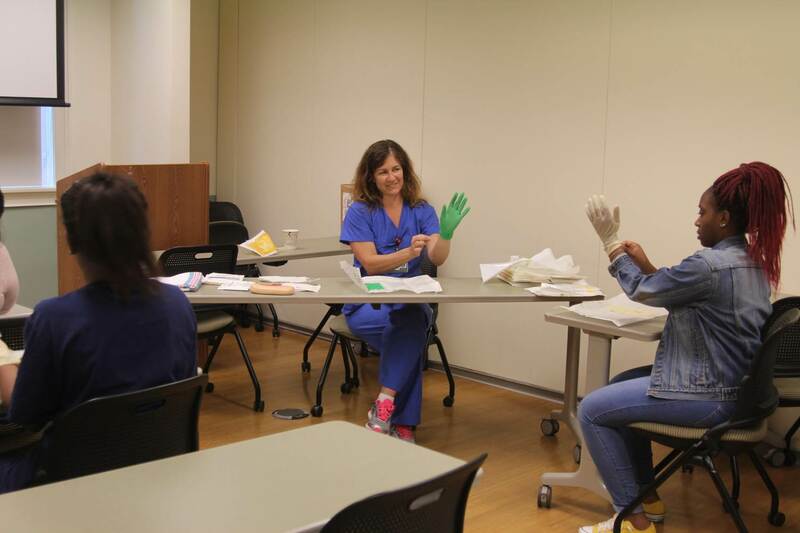 Thanks to all the MUSC professionals that invested their time and talent in this program – In no time, these students will be applying for health care related positions throughout Charleston, and beyond. 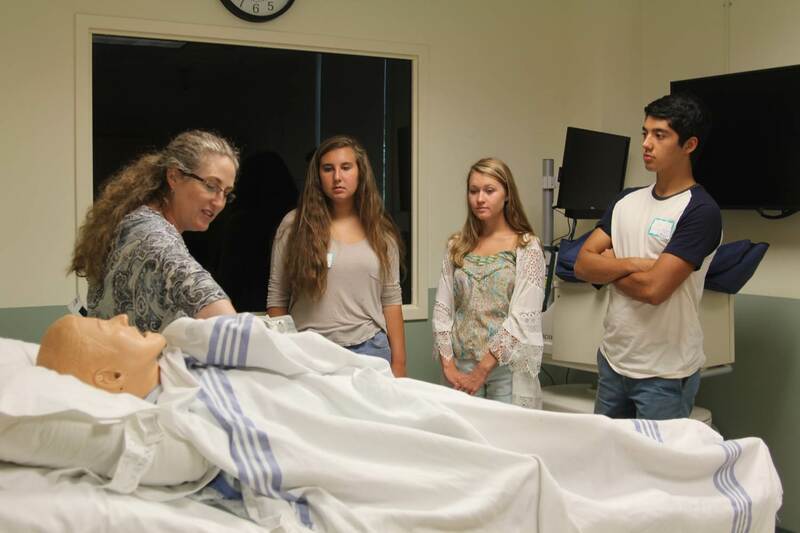 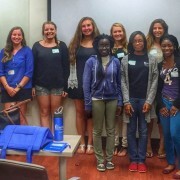 Read more about this annual nursing career camp in this week’s issue of The Catalyst, MUSC’s campus newspaper. 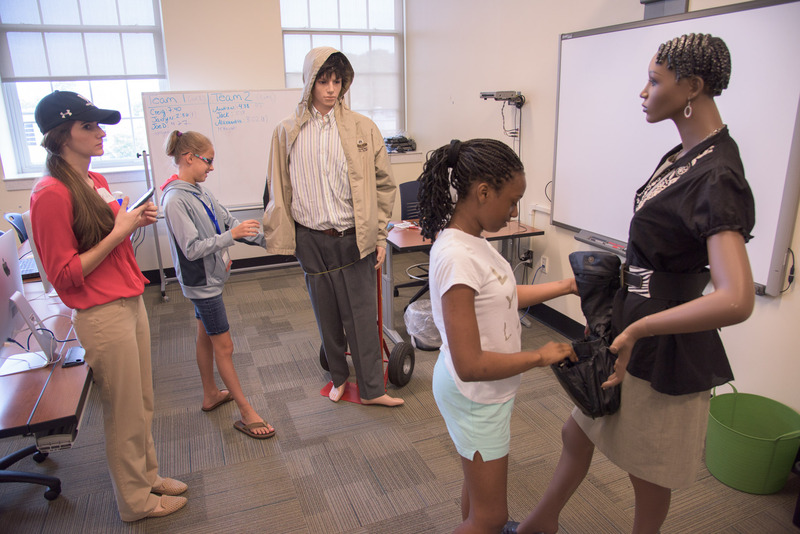 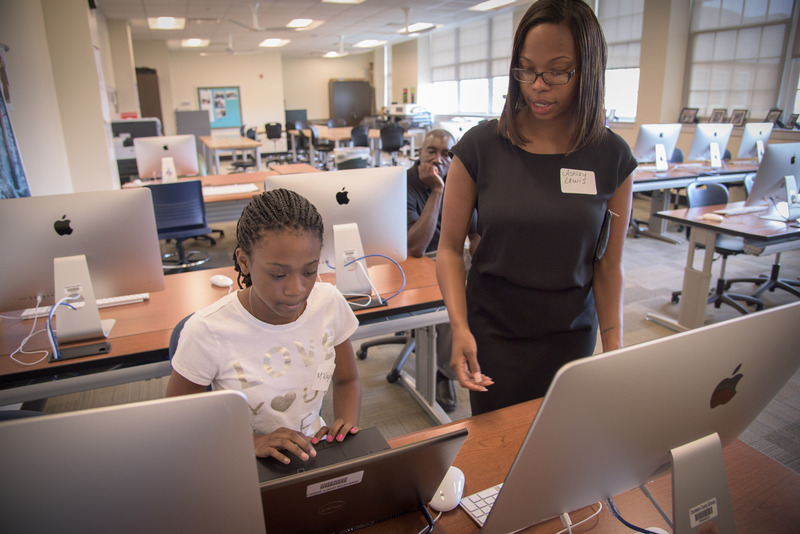 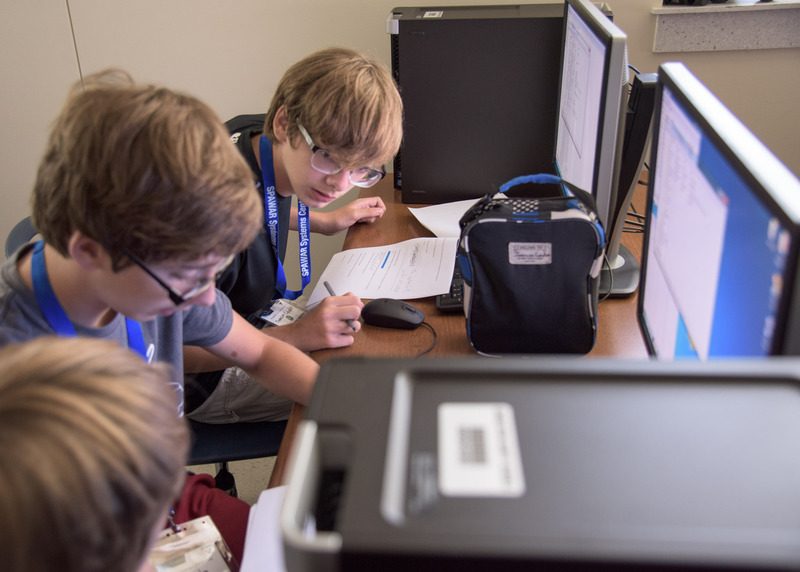 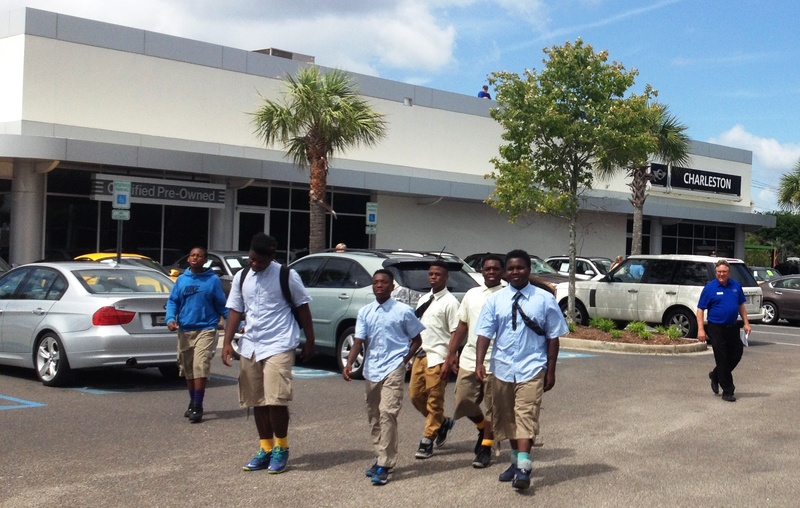 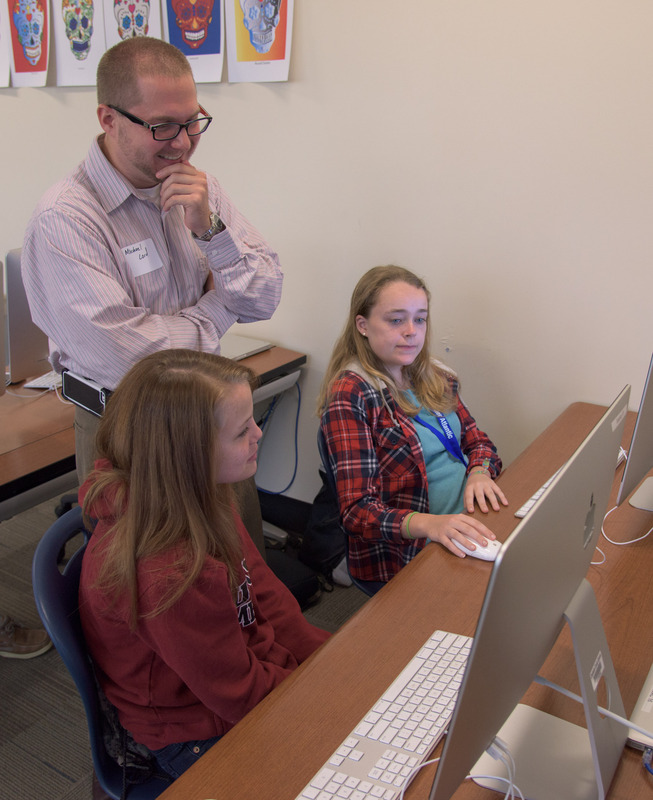 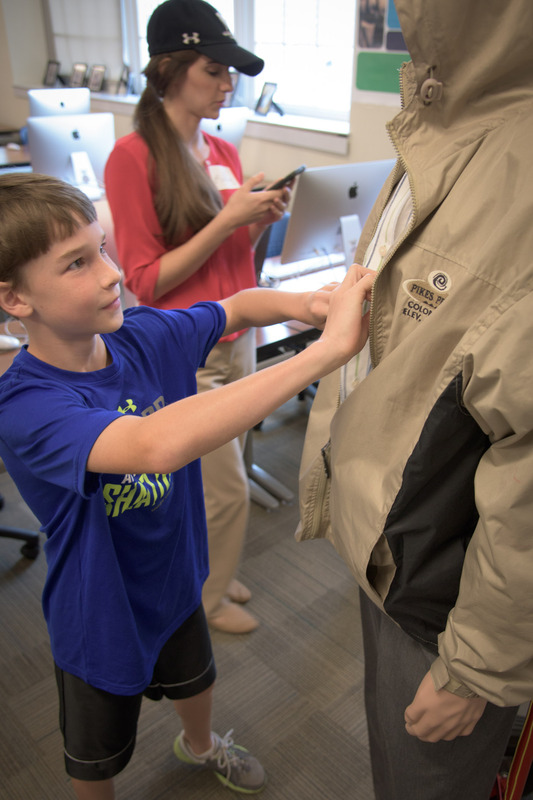 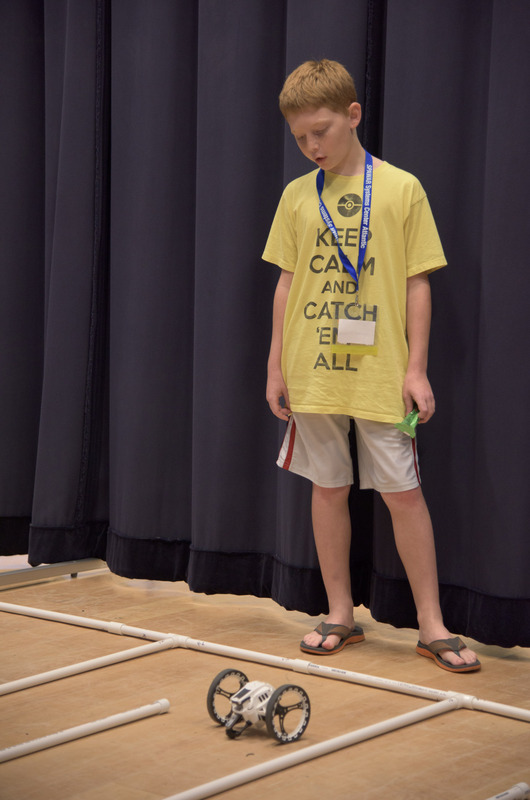 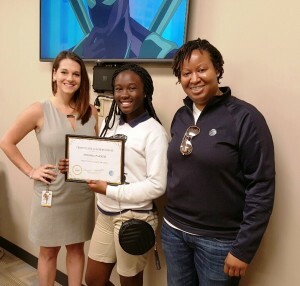 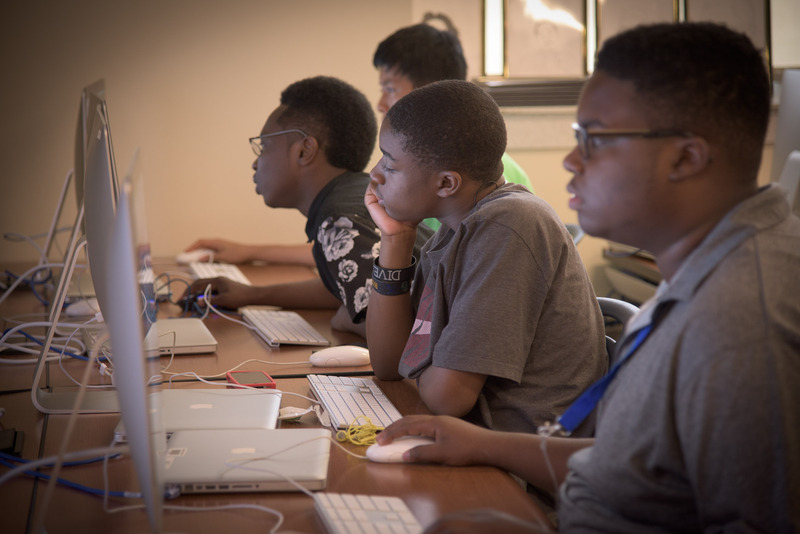 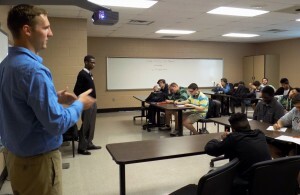 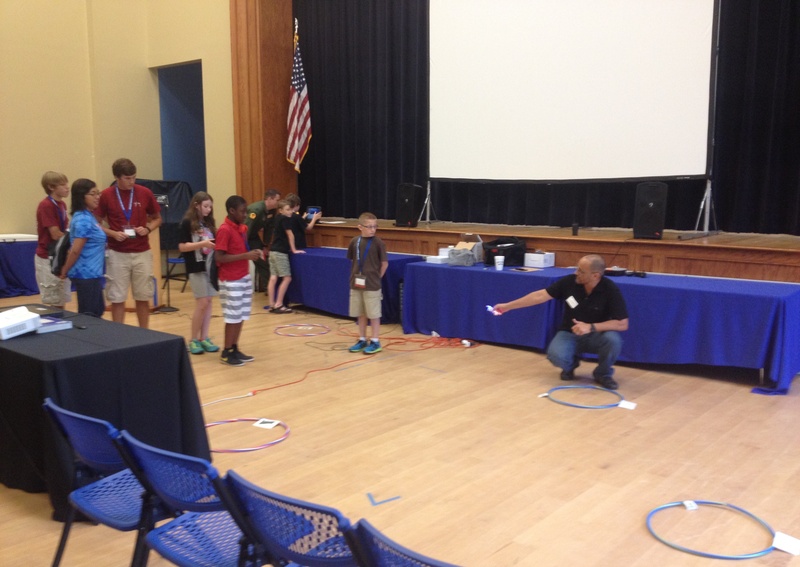 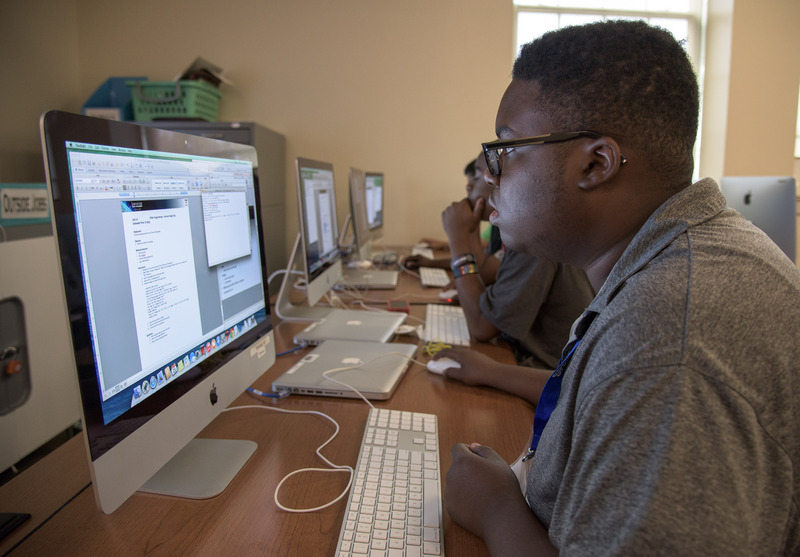 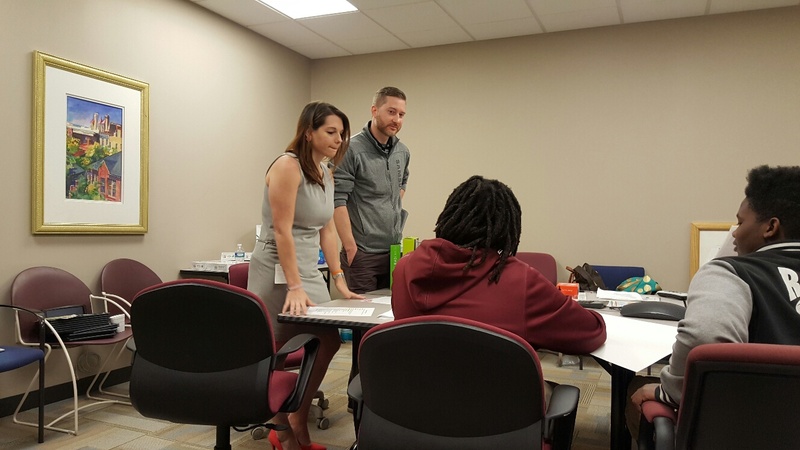 May 28, 2015 – Charleston, SC – Career exploration was the topic of the day for 30 Sanders-Clyde Creative Arts School 8th graders preparing to matriculate to high school this fall. 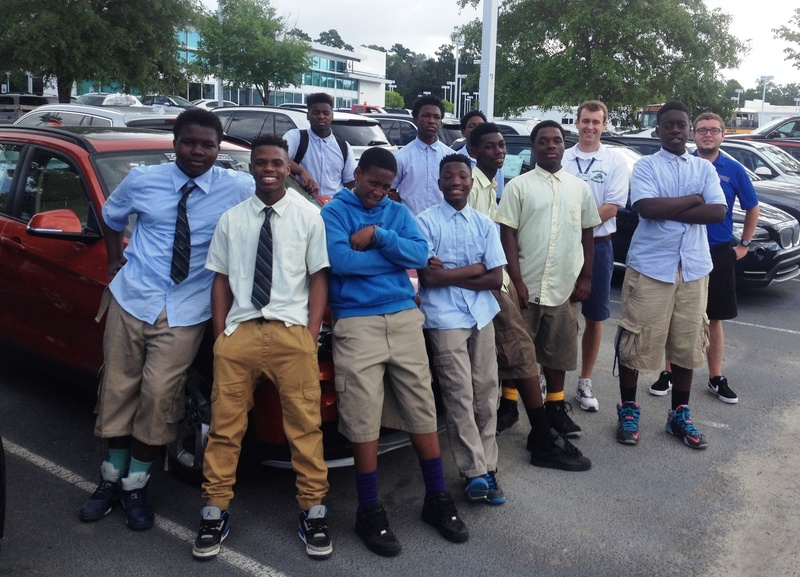 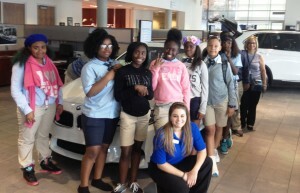 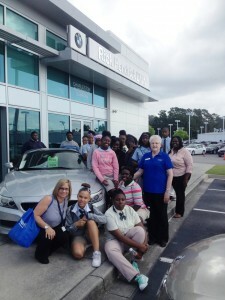 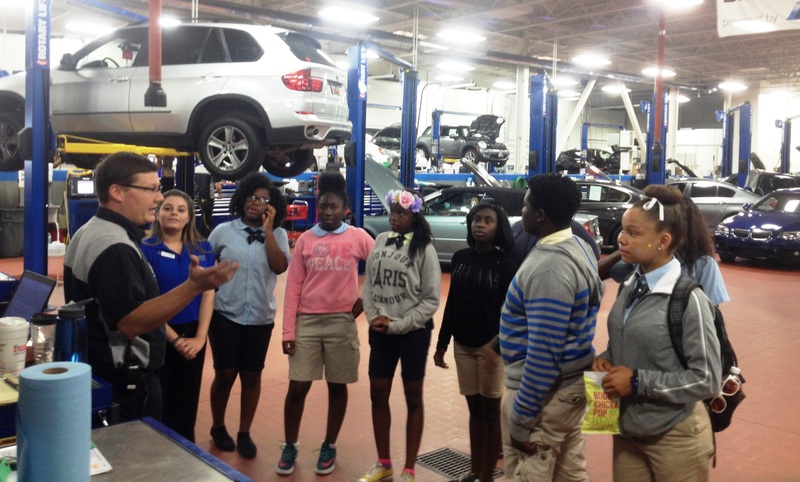 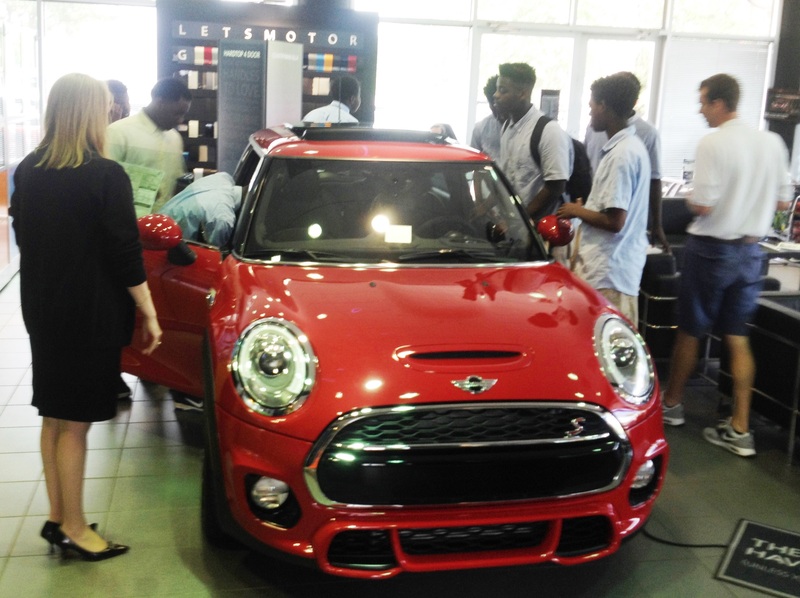 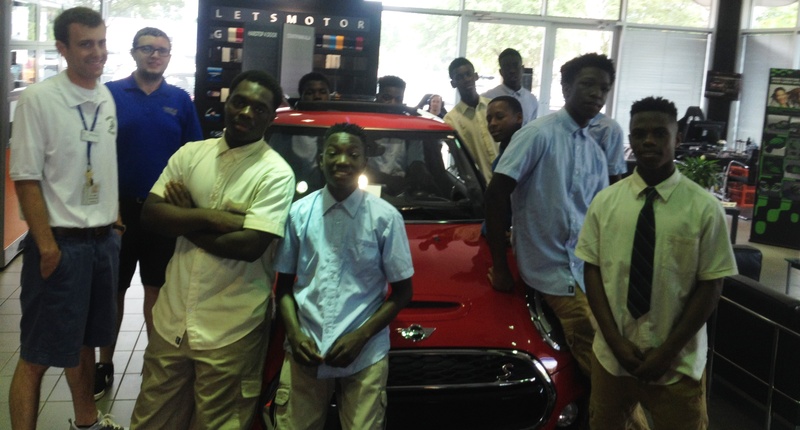 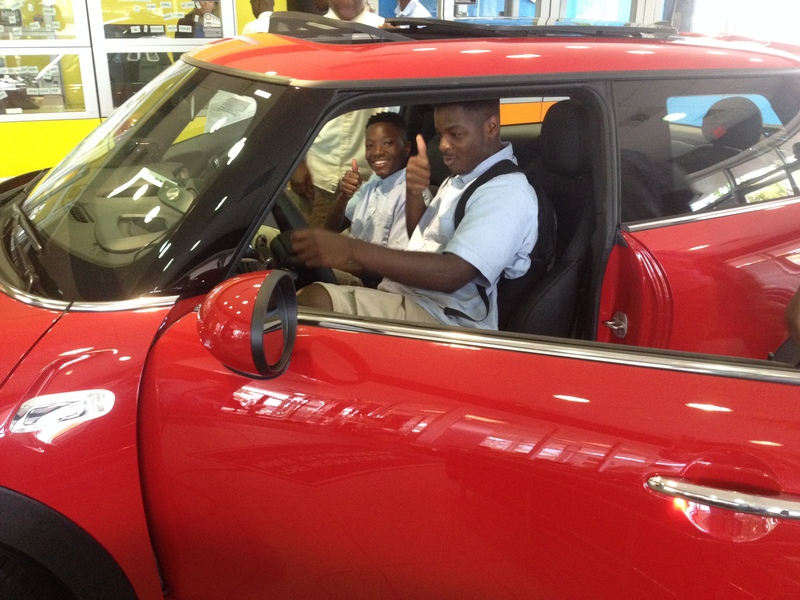 The students were treated to a behind the scenes tour of the Rick Hendrick Volvo, Mini, and BMW showrooms and service departments on Savannah Highway. 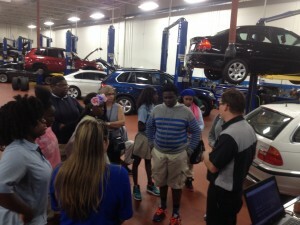 They got to hear from professionals including team members from parts & service, sales, and marketing departments. 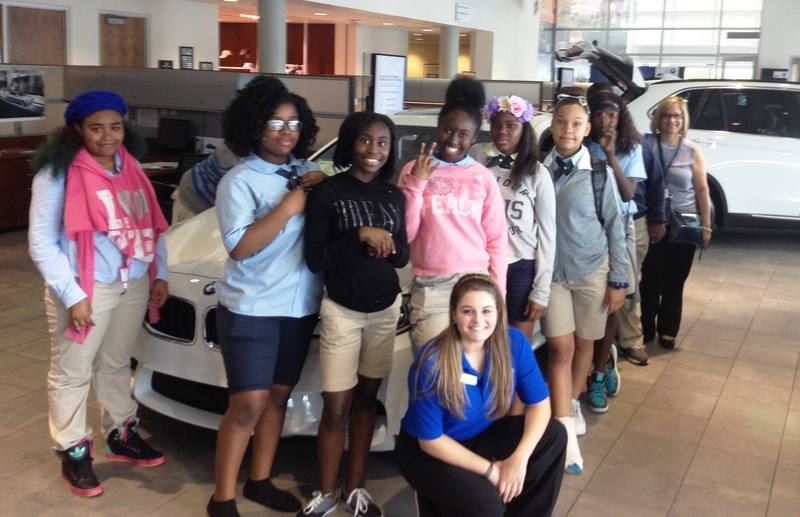 Thank you to the wonderful team at Rick Hendrick Volvo, Mini and BMW of Charleston for hosting students from Sanders-Clyde today!